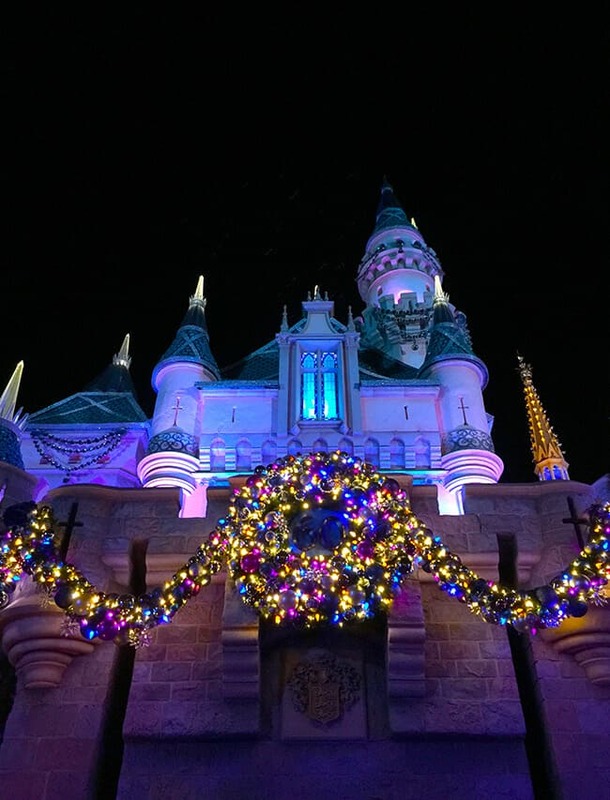 visiting Disneyland during the Holidays has got to be one of the most magical places you can be. 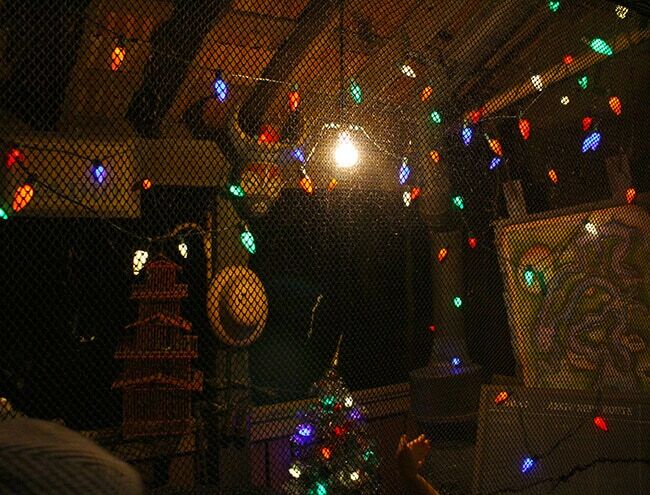 everything is decorated, glittering and shimmering with Christmas magic. 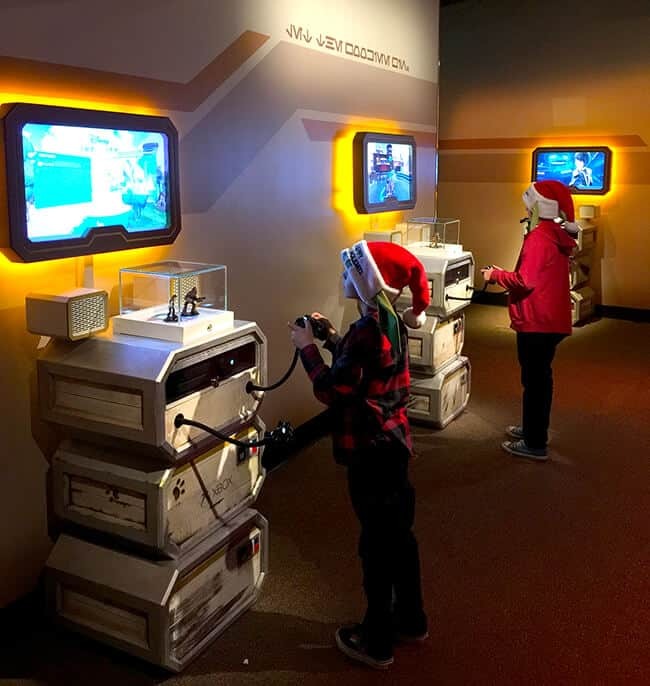 the boys and i couldn’t get enough of it this holiday season. 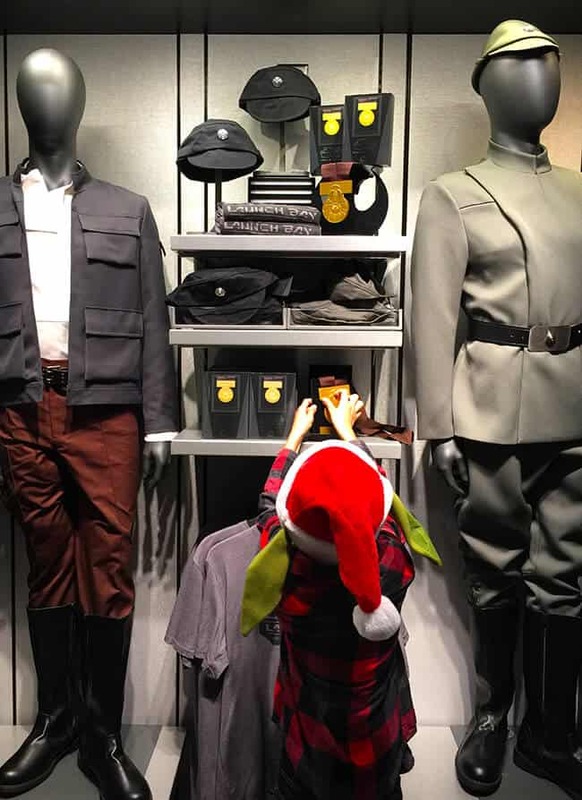 it has to be one of our favorite ways to celebrate Christmas…and even better this year was the opening of Season of the Force. 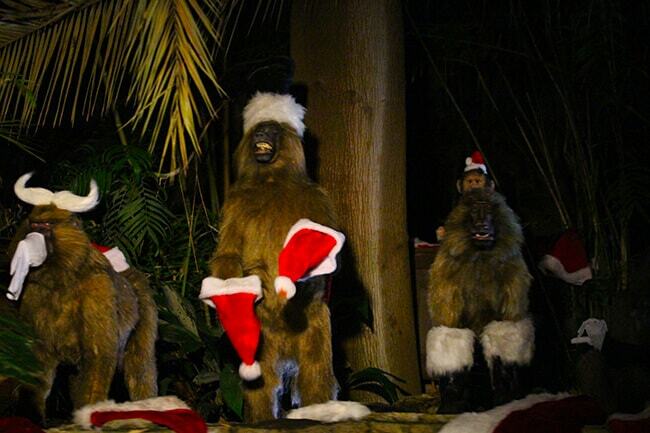 luckily, we were able to visit a few times to experience all that the park has to offer during the Holidays. 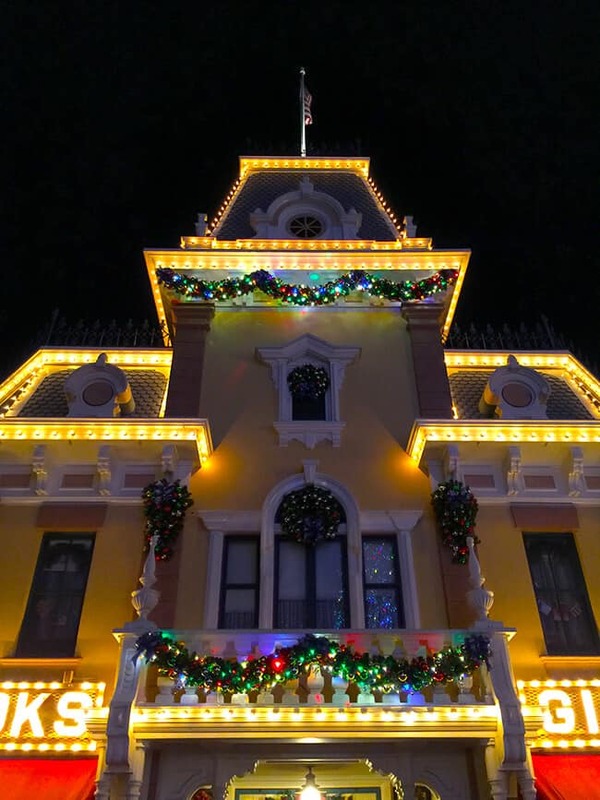 i wanted to change it up, and instead of sharing photos taken in the daylight of our visit to Disneyland Holidays, i thought it would be fun to share the photos i took at the night. 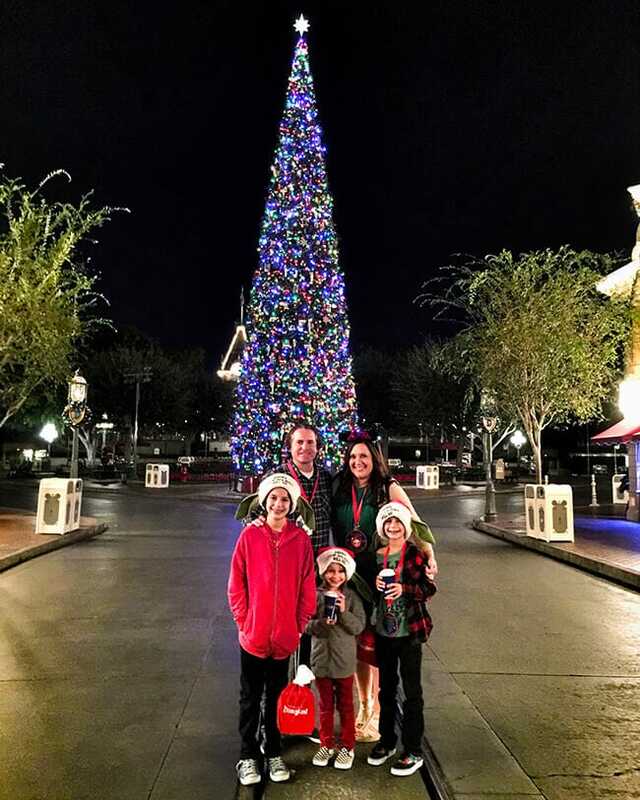 this is when Disneyland Resort is sparkling with twinkle lights and the chill in the air makes you feel like winter has fallen upon Orange County. 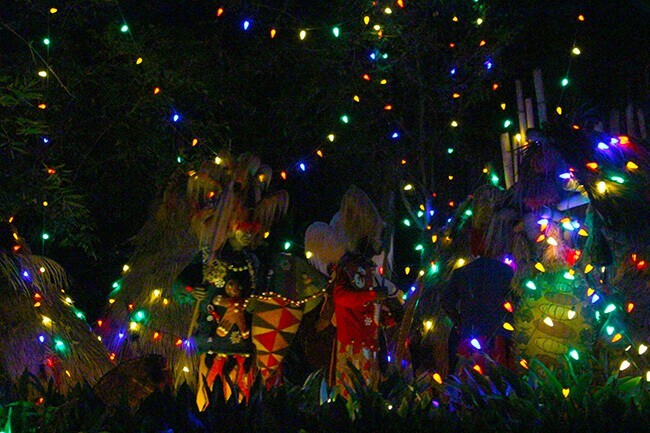 the entire park is decorated, from the entrance to the rides, so you are going to want to see it all. 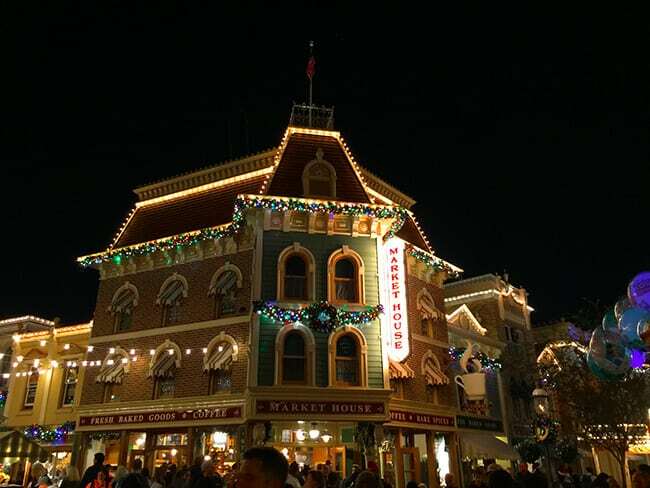 as you make your way down Main Street U.S.A. all the buildings are lined with Christmas lights and decorated to the nines for the holidays. i love the excitement that you feel as you walk down the street towards Cinderella’s Castle. 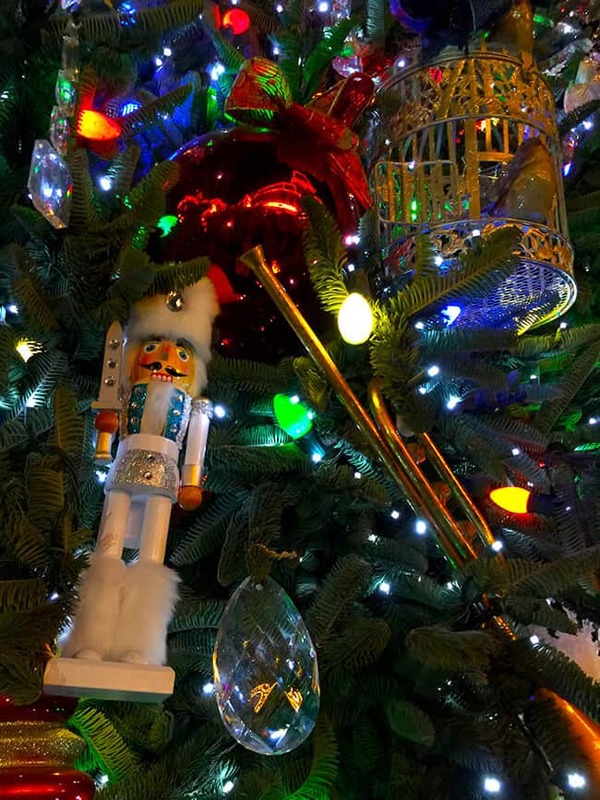 the music, the decorations, the store window displays….EVERYTHING is so magical this time of year. and then there is Cinderella’s Castle!!!! 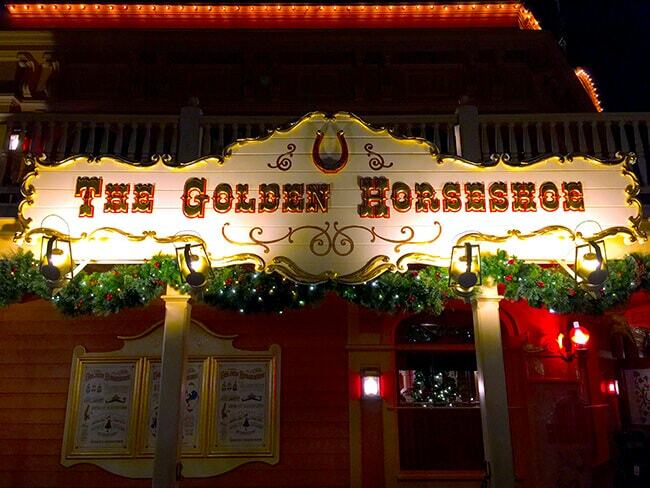 i love how it has been decorated for the season with frosty wreaths of glass balls, diamonds and Christmas swags. 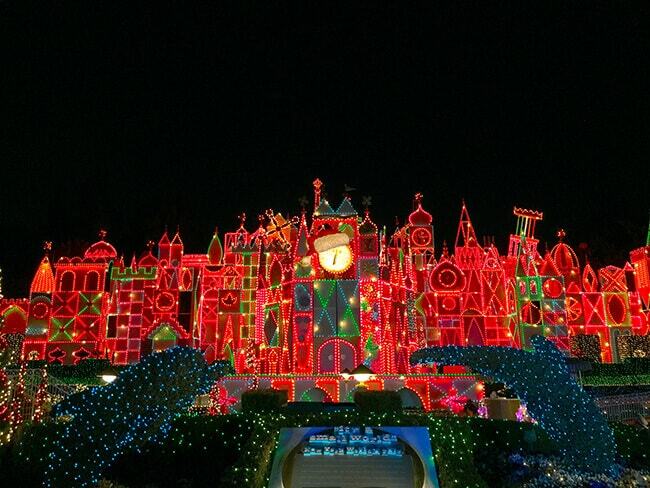 my all-time favorite ride to visit during the Holiday’s at Disneyland is “it’s a small world” at night. 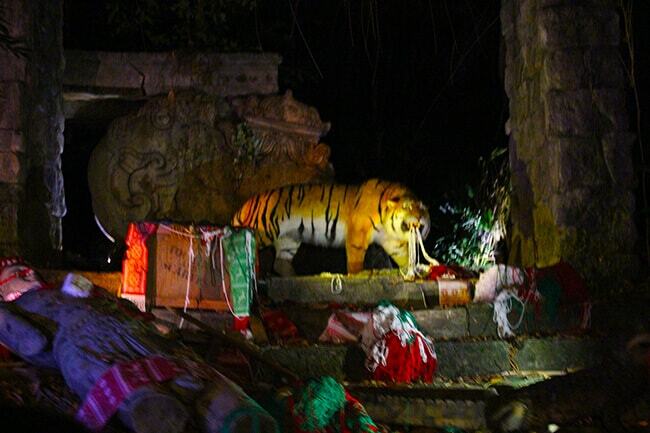 it is one attraction you will not want to miss. 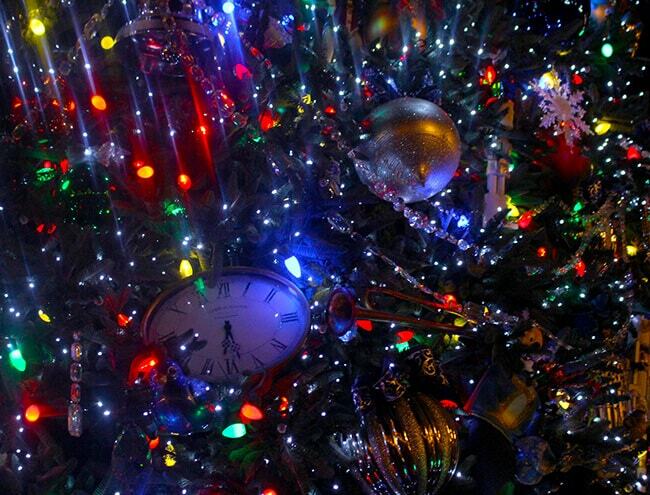 thousands upon thousands of lights have transformed it into a spectacular vision of colorful lights. 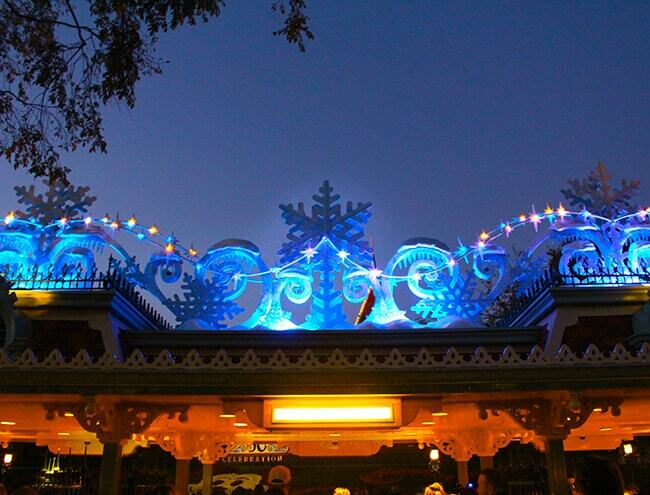 as you ride the boats through the ride, songs of jingle bells and “it’s a small world” fill the air. 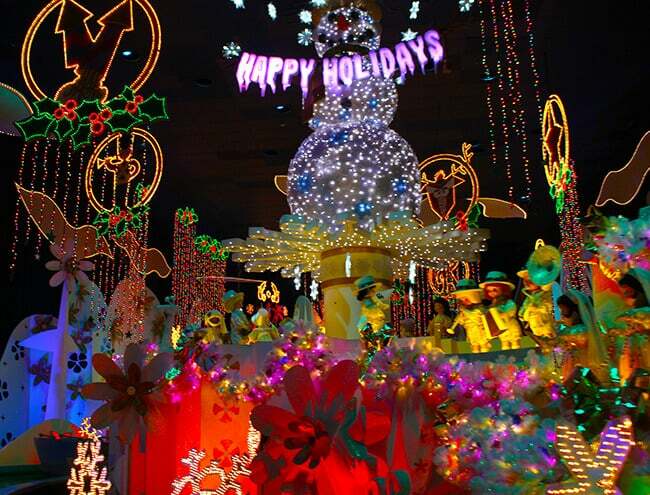 people young and old love to ride “it’s a small world” during the holidays. 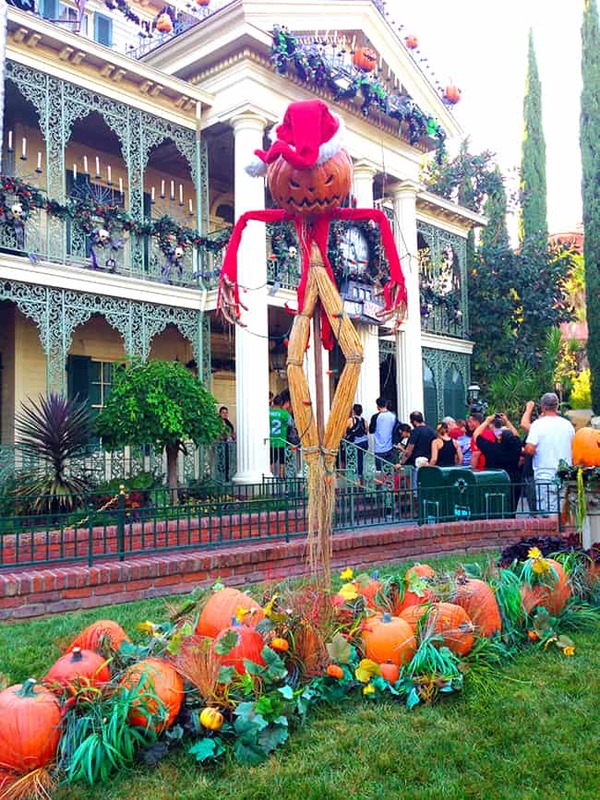 besides “it’s a small world” and the Haunted Mansion that has been transformed into the “Nightmare Before Christmas”, there is also another ride that has been decorated for the Holidays…. 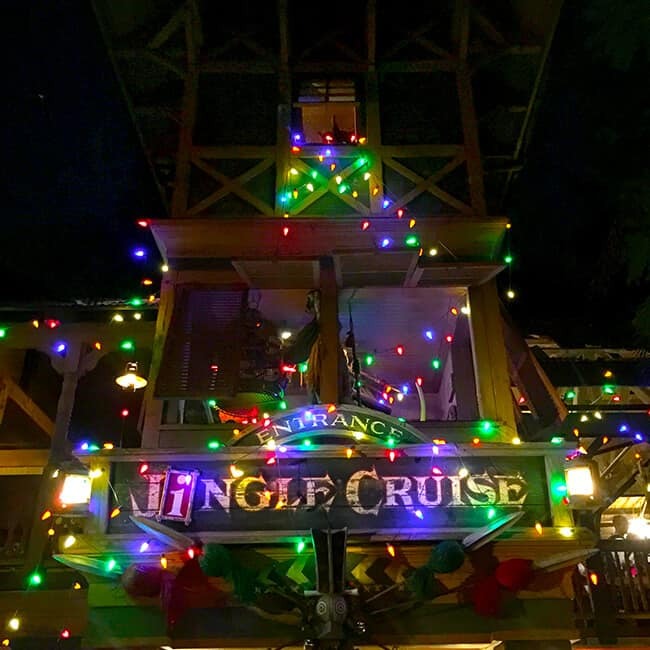 the Jungle Cruise has been transformed in the the “Jingle Cruise.” get ready to ride the waters of the Nile on a safari of holiday surprises. 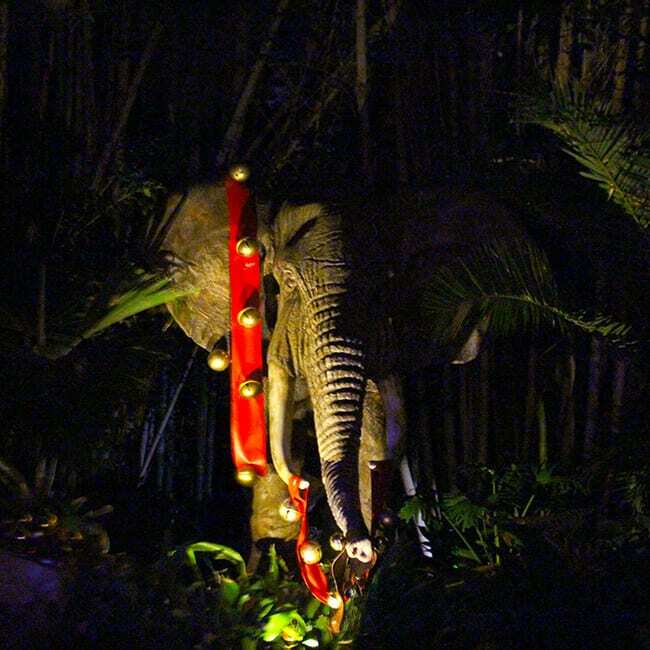 all the animals give you quite the Christmas jungle experience as you ride on the Jingle Cruise! 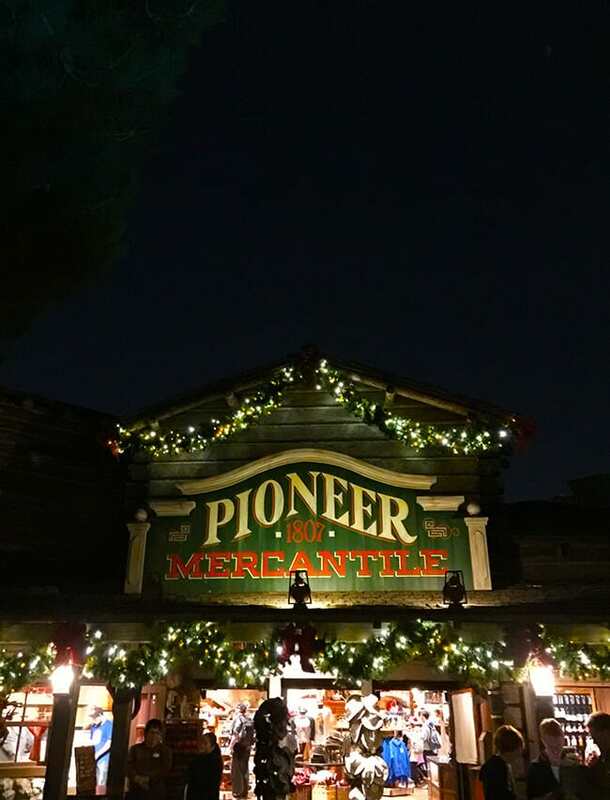 after you make it off the boat, take a minute to enjoy Frontier Land decorated with lights. 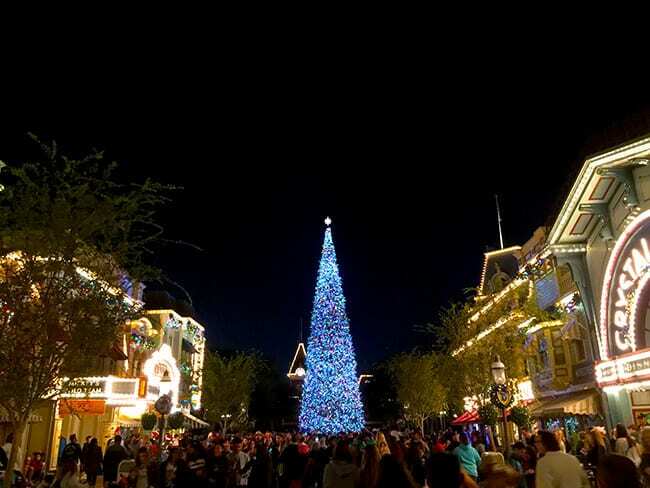 finally, there’s the giant Christmas Tree at the end of Main Street. 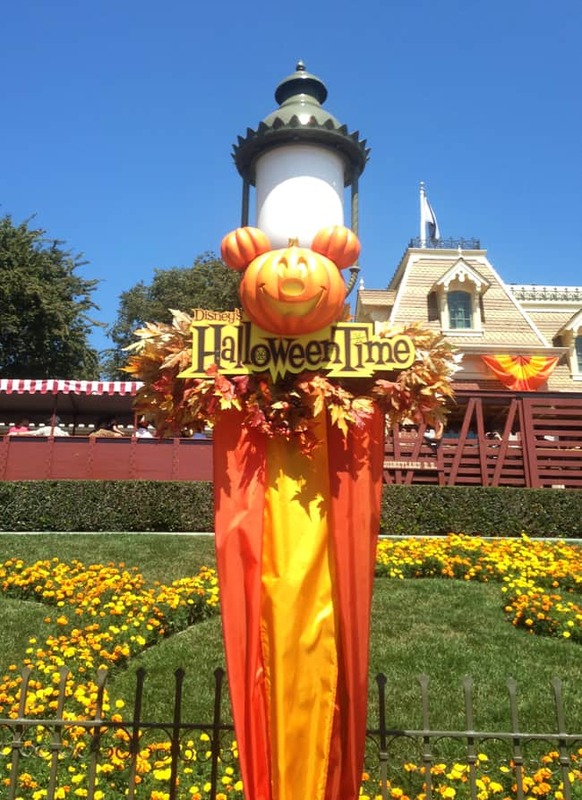 here’s what it looks like as you make your way down Main Street U.S.A. to exit the park. it’s a beautiful site. 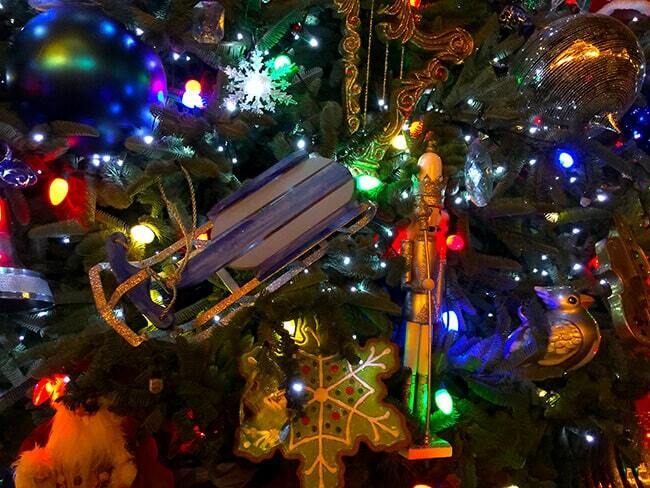 this year there have been some new additions to the tree. 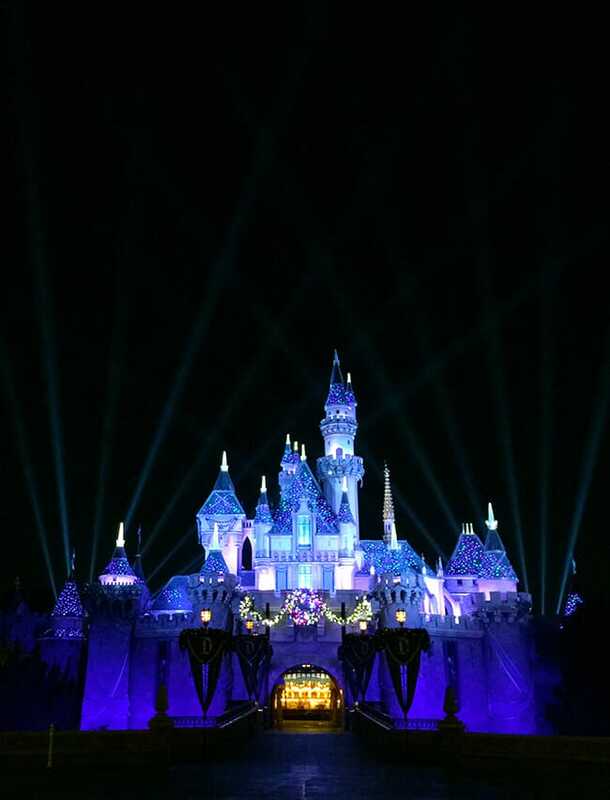 you will notice blue decorations celebrating Disneyland’s 60th Anniversary. 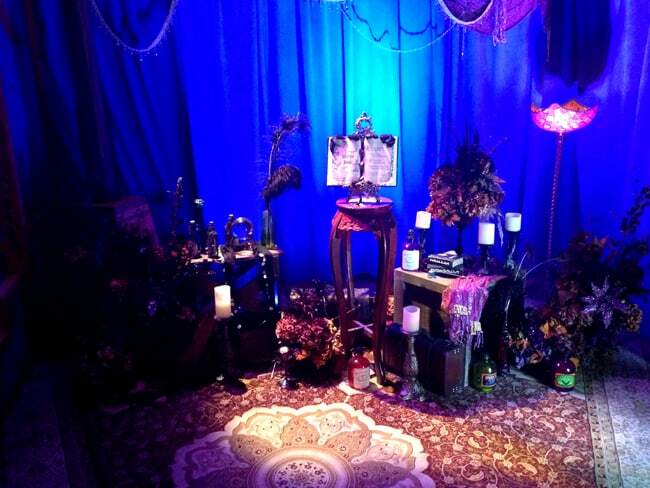 blue glass balls, blue sleighs, blue clocks and blue ribbons. 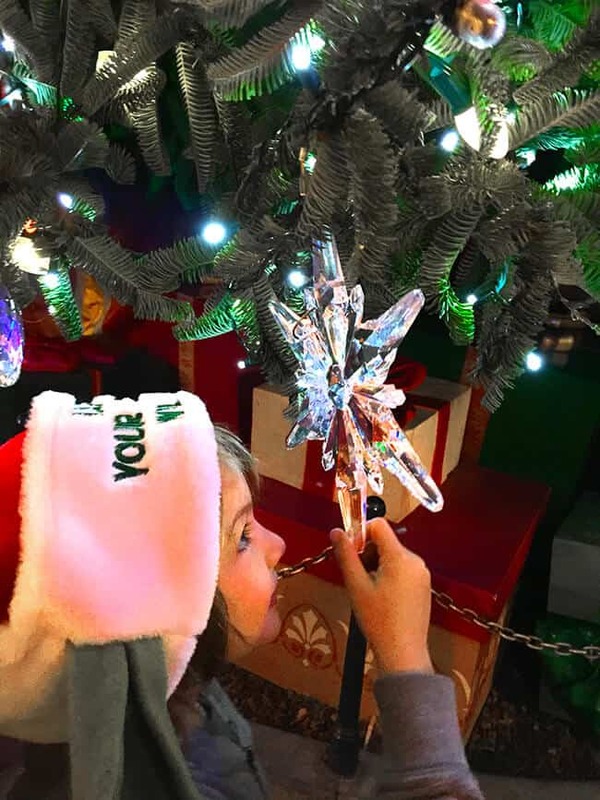 crystals beads have also been added along with silver bird cages and sparkling glass snowflakes. 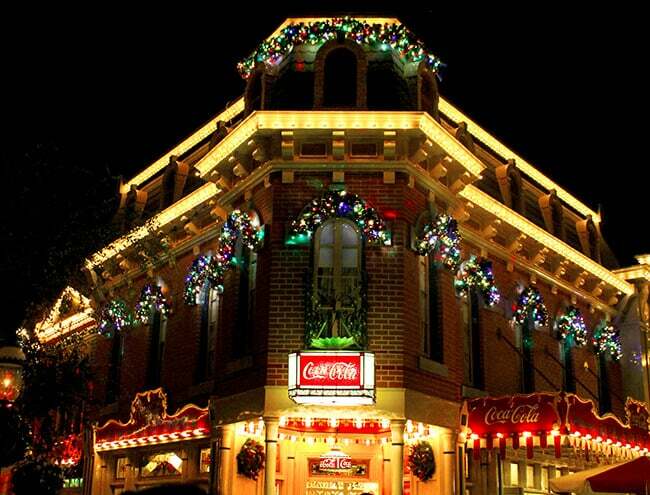 it’s the perfect way to celebrate the 60th Anniversary at Christmas time. 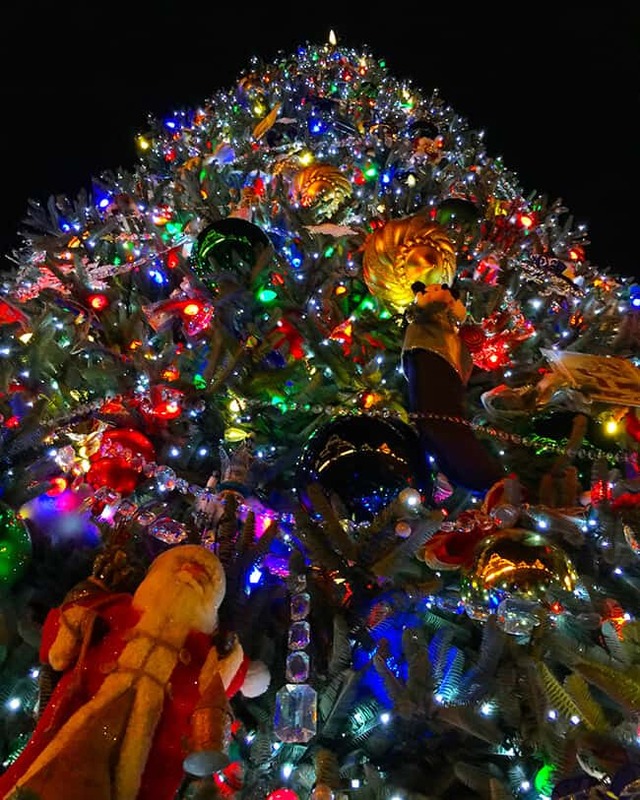 a spectacular tree for sure. 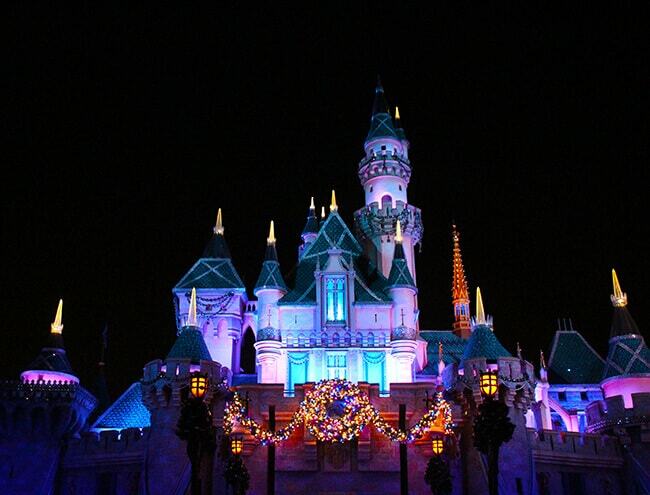 we are always going to remember the magical evening we spent during the Holidays at Disneyland. 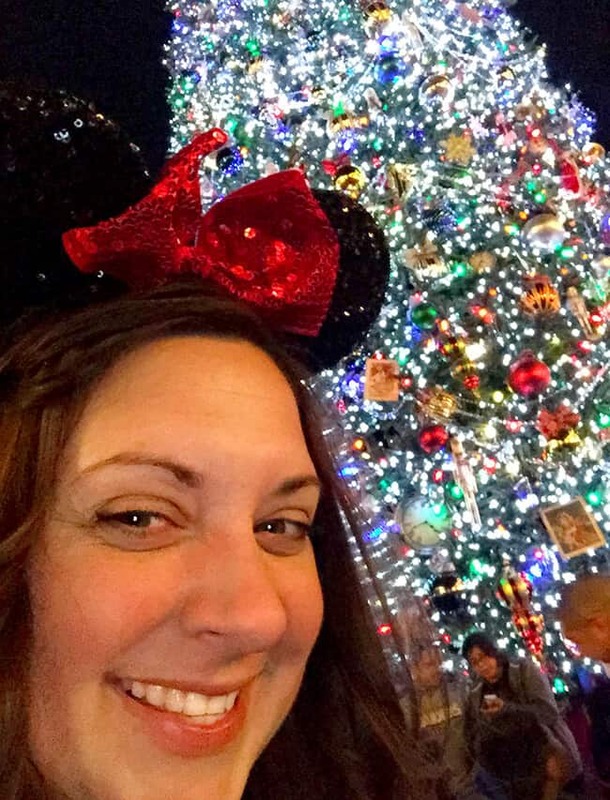 Holidays at Disneyland Resort are finally here!!! the boys and i are especially excited because this year there is something new happening. 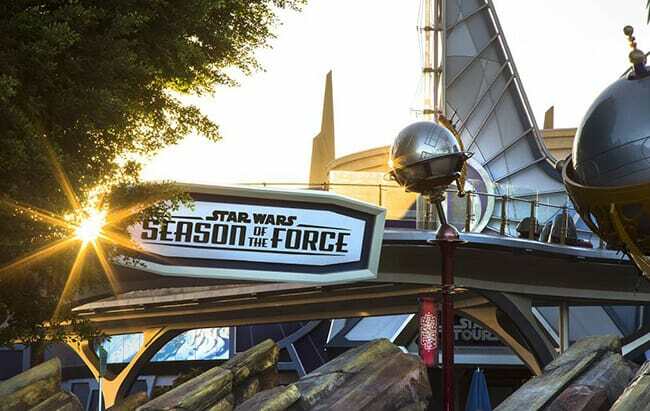 besides all the Holiday decorations, and the Christmas Parade, Disneyland has a brand new Star Wars holiday experience called Season of the Force. the boys and i were already able to check it out, and i am beyond excited to share our experience with you. 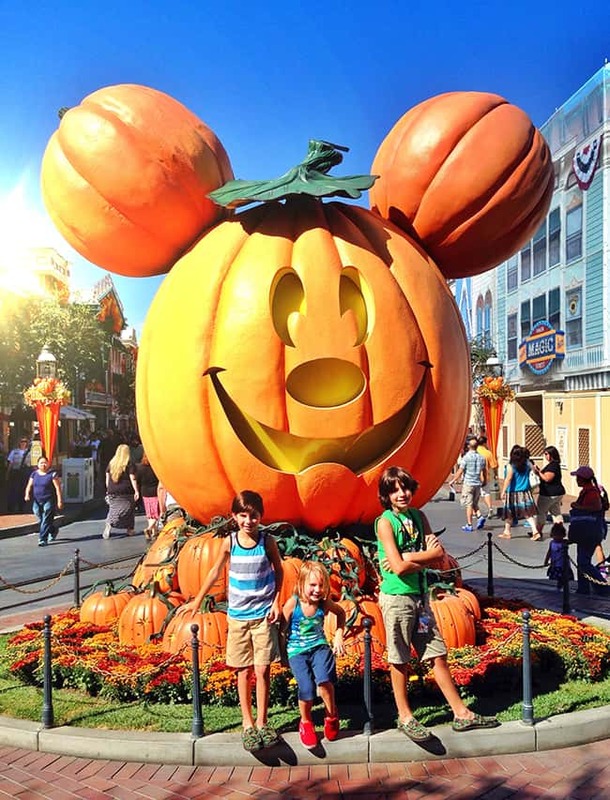 hopefully you and your family can make it to Disneyland Resort this holidays season and experience it for yourselves. 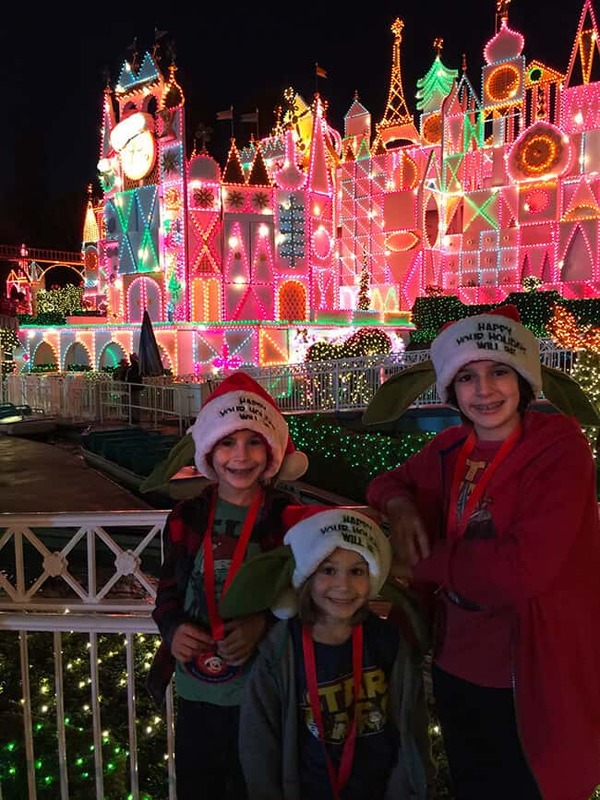 there’s always lots of magical fun at Disneyland…and Season of the Force is the icing on the cake. 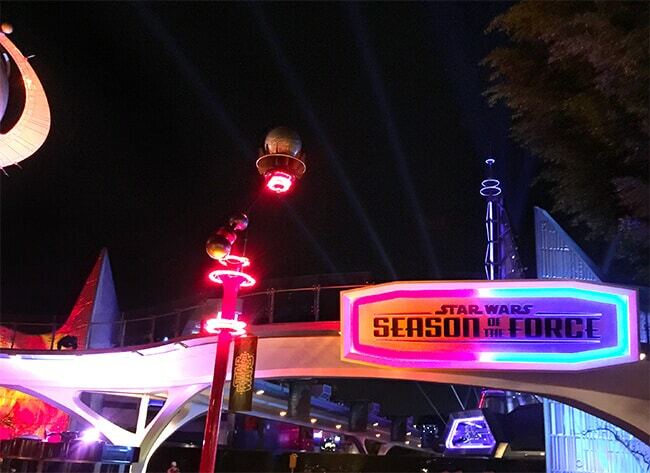 Season of the Force is taking place in Disneyland’s Tomorrowland. 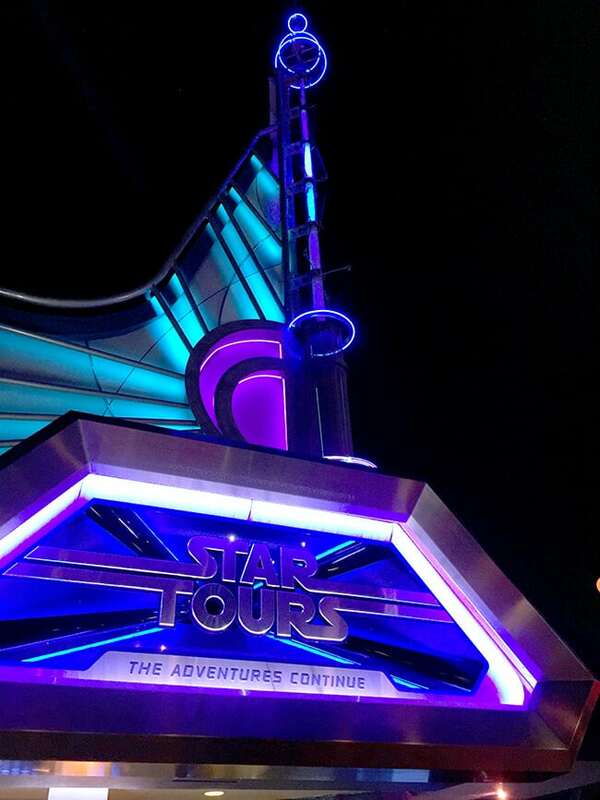 as you walk in, you will first come to the Star Tours ride. 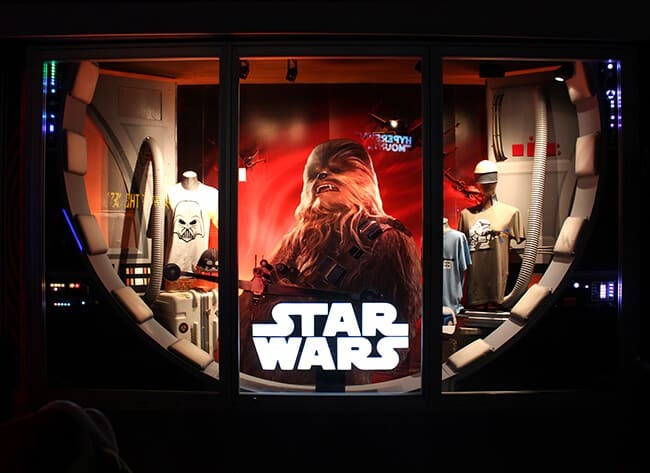 Star Tours has been upgraded to Star Tours – The Adventures Continue, with a glimpse into a new journey from Star Wars: The Force Awakens, which premieres Dec. 18th. 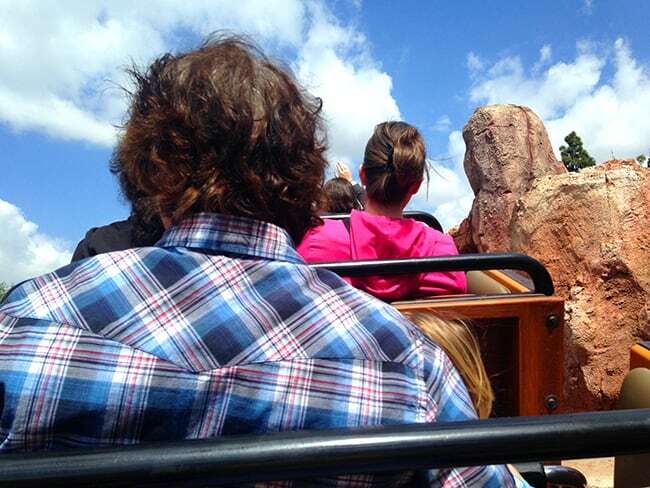 he ride is the same except scenes from the new movie will be added to your experience. next up is The Star Trader Shop. 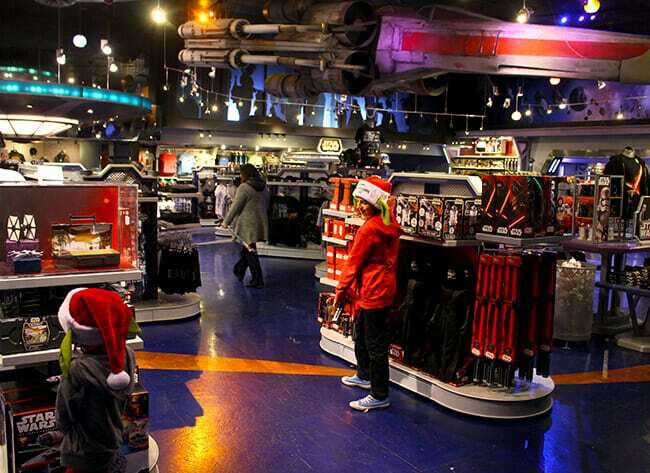 before now, it had Star Wars merchandise along with lots of general Disney merchandise. 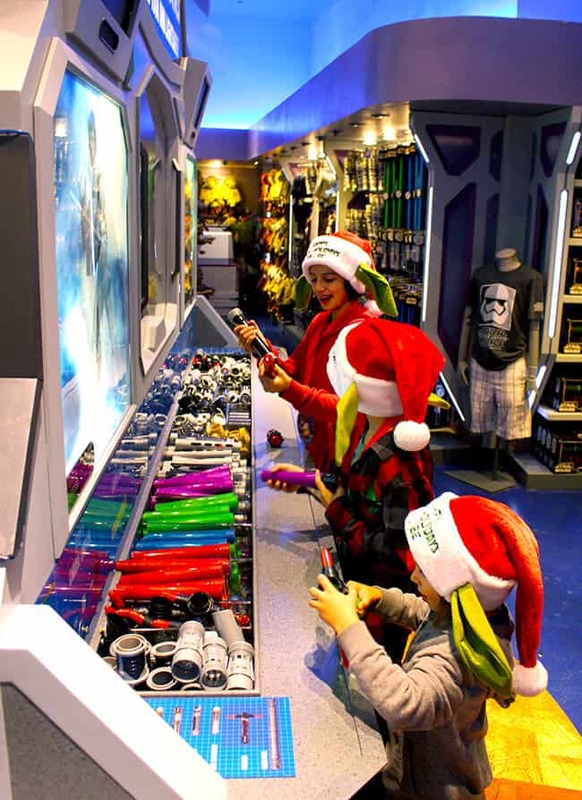 but now is holds exclusively Star Wars merchandise….and lots of it. 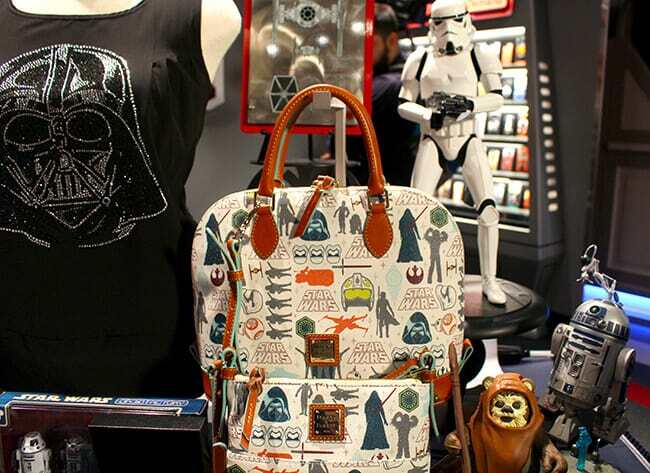 from Star Wars toys, to collectables to boutique style clothing. 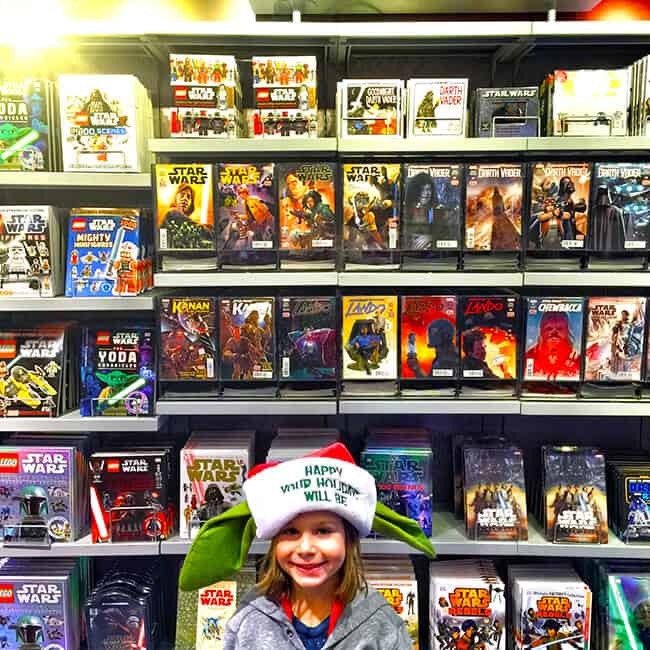 its a Star Wars fans dreamland. 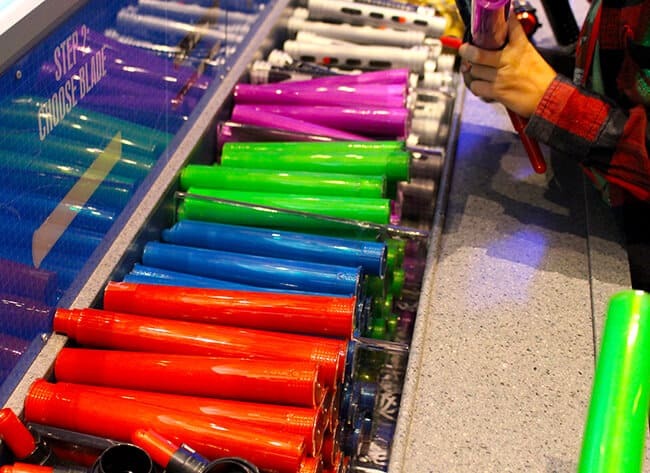 my boys’ favorite thing was the build your own lightsaber section – where you can build the lightsaber of your dreams. you choose the color, the feature and the blade. you can imagine how hard it was to get my boys to leave this area. 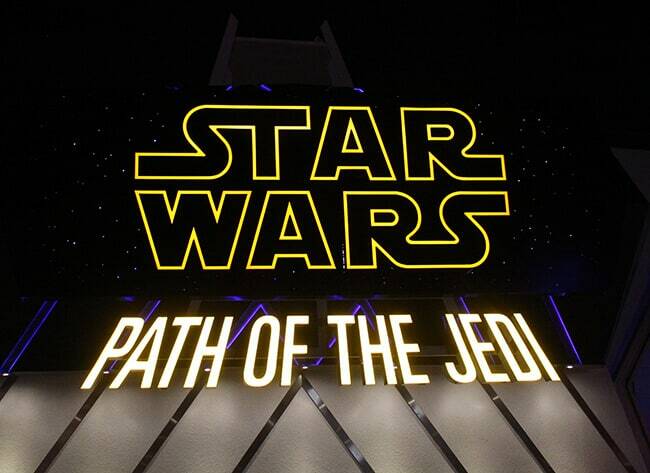 to the left of The Star Trader, you will come to Tomorrowland Theater where you can see “Path of the Jedi”, a short compilation of the Star Wars saga. 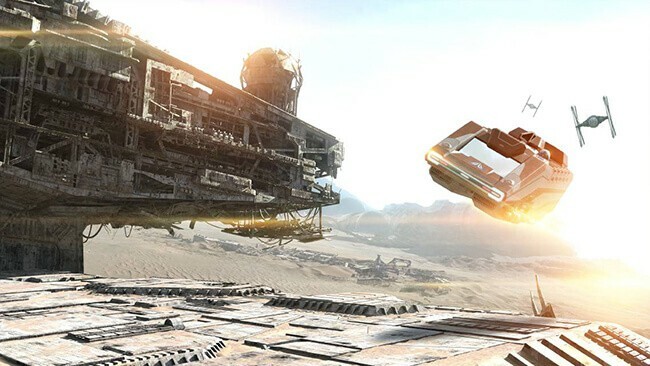 plus they also show the trailer to the upcoming Star Wars: The Force Awakens. my husband especially loved this, and i really enjoyed seeing a round-up of all the Star Wars films since i haven’t seen all of them yet. 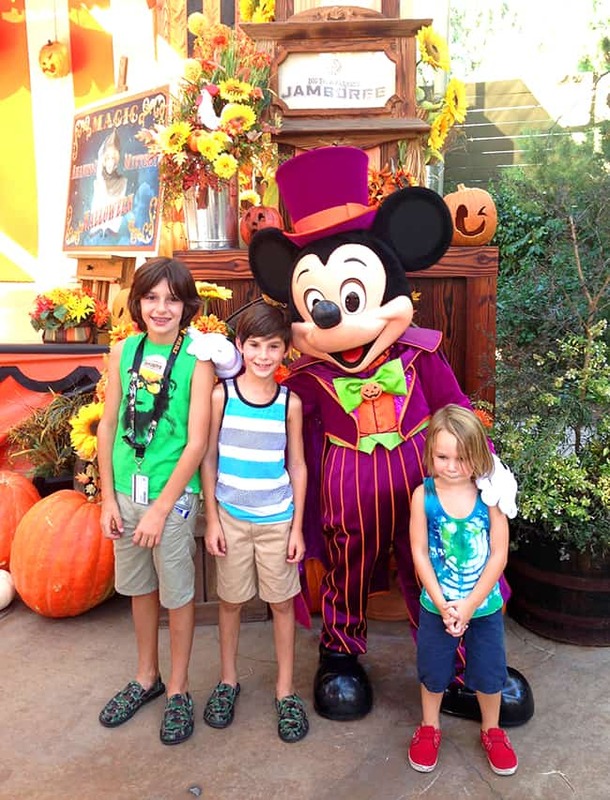 big contrast from my husband and boys who have seen them all multiple times. 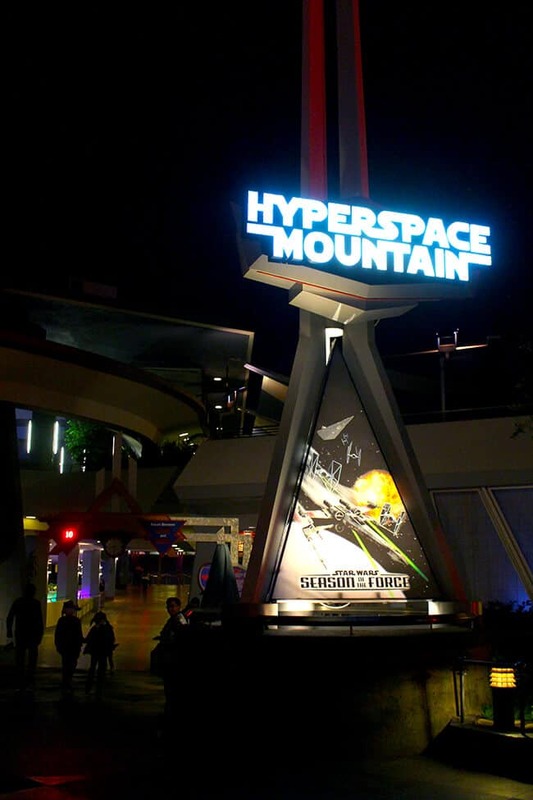 next up was my personal favorite part of Season of the Force, Hyperspace Mountain. 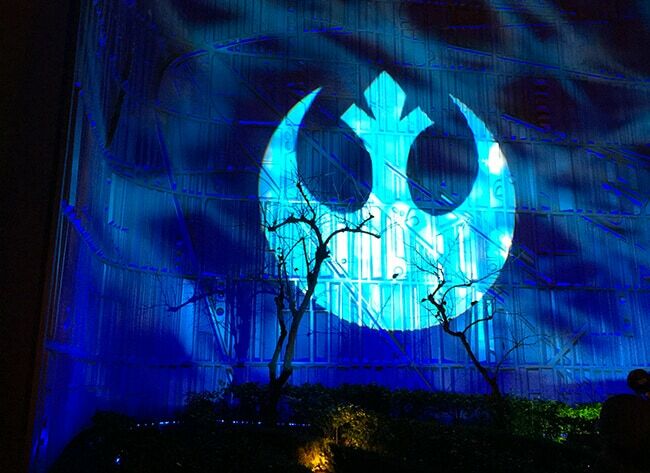 the beloved Space Mountain ride has been transformed into a Star Wars adventure. 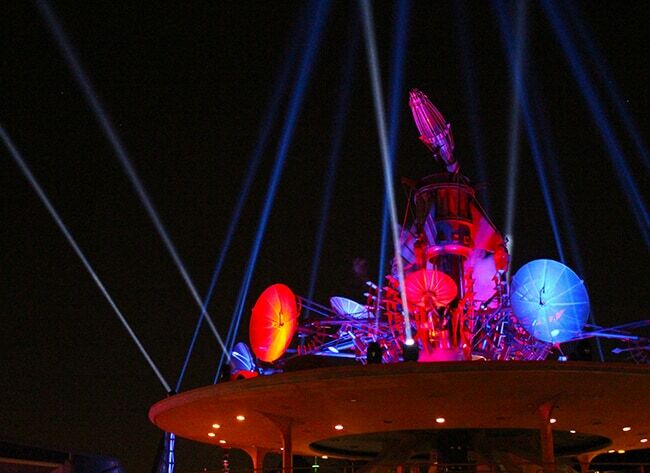 you get to take a space ship into outer space and be a part of the action. 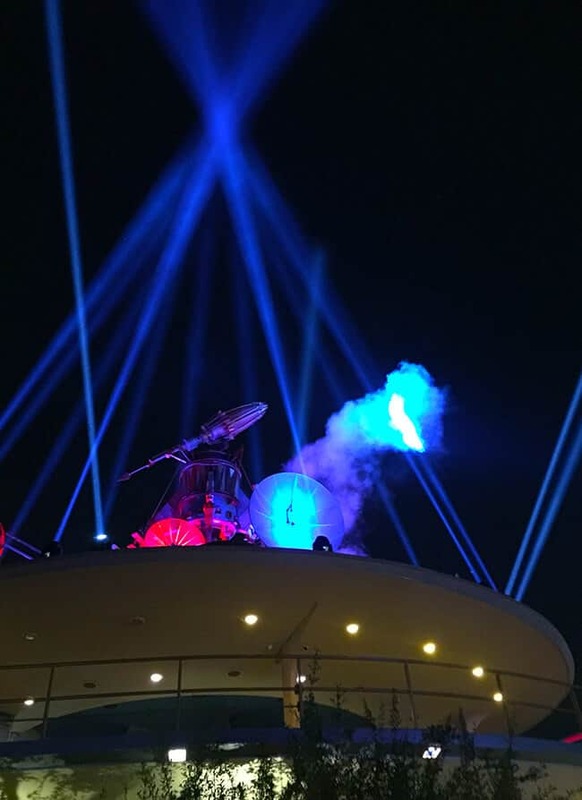 there are Star Wars in the sky and awesome Star Wars music throughout the ride. Space Mountain is like a whole new ride with and awesome sound track! after you ride Hyperspace Mountain, you need to head over to the Star Wars Launch Bay. 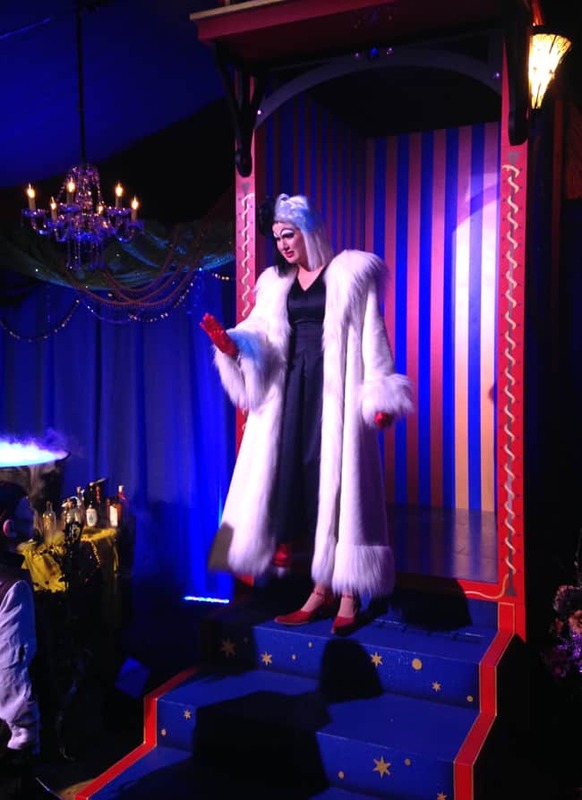 it is located in the lower level of Carousel Theater which previously hosted the Carousel of Progress, America Sings, and most recently, Innoventions. 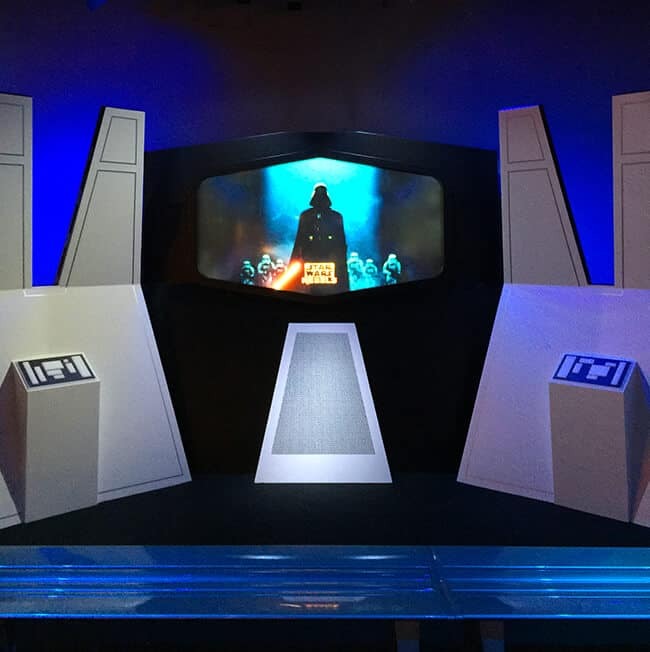 walk on in….you are about to be amazed with some Star Wars awesomeness. 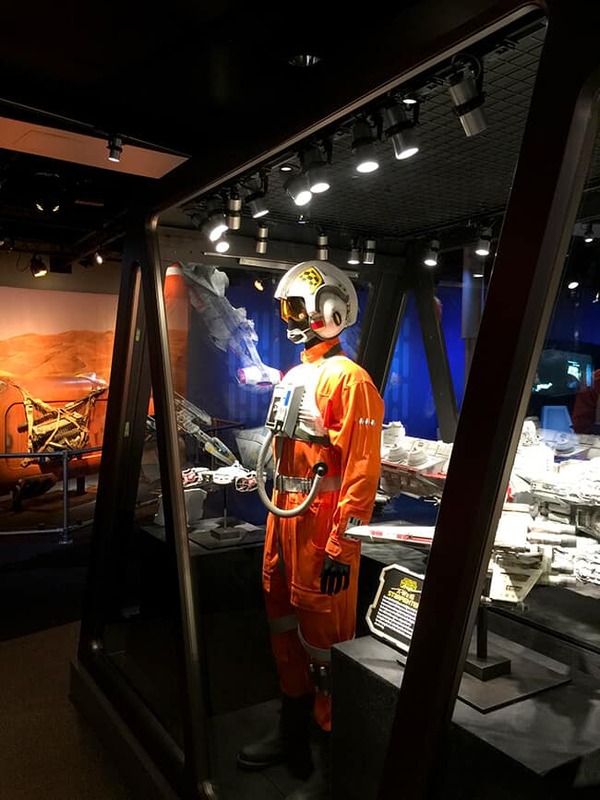 Star Wars Launch Bay, is full of Star Wars experiences – from character encounters, video games, authentic replicas of film props to Star Wars merchandise and more! filling most of the space are many display cases with movie memorability, costumes and models. so much, we didn’t have time to check it all out. 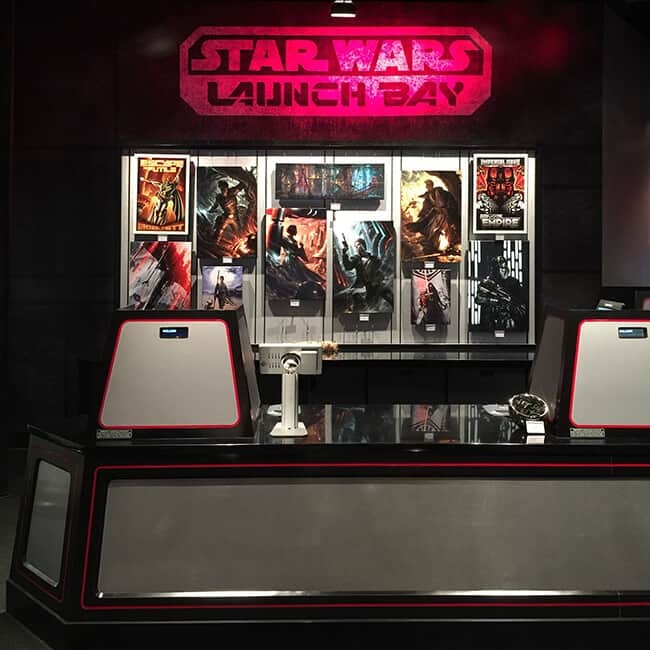 or you can head over to the Star Wars Game Center, and play Disney Infinity to your hearts content. you can even play with the new Star Wars figures. 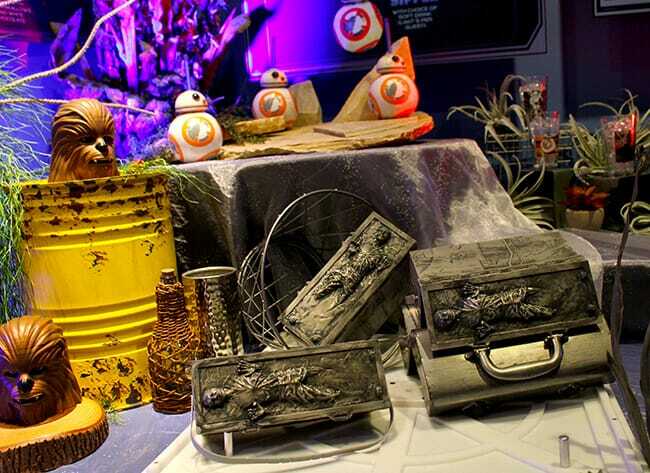 the Star Wars Launch Bay Cargo area has lots of Star Wars merchandise for purchase, much of which is exclusive to Disneyland Resort. 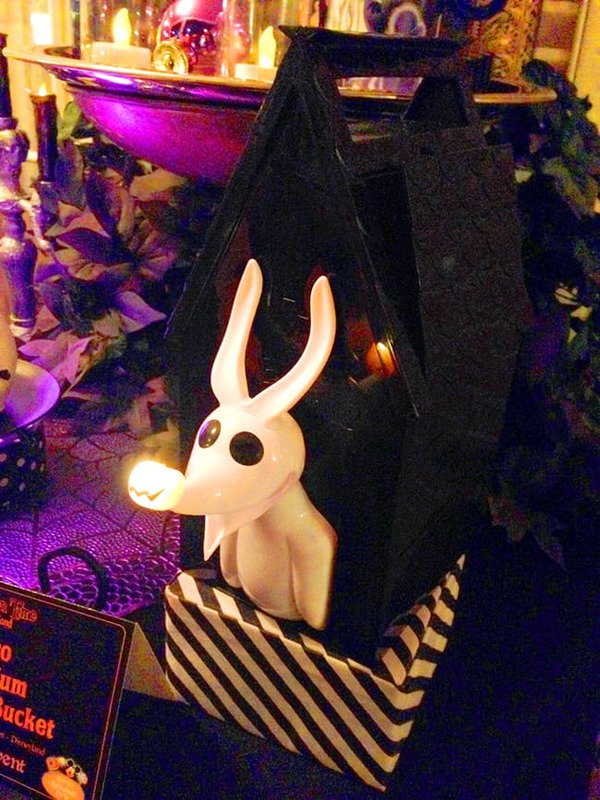 plus there is a great selection of boutique style items and room decor. can somebody please get me this cute purse for Christmas? 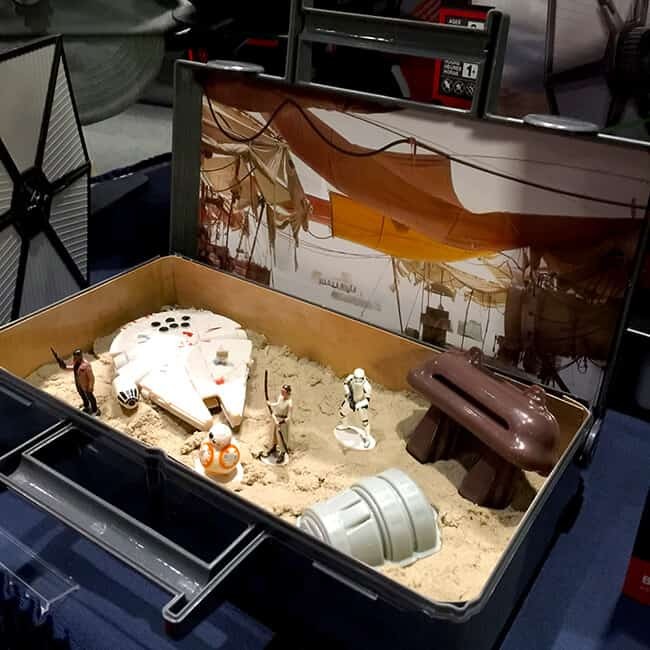 and there are lots of great items like this Star Wars sand box filled with kinetic sand and small Star Wars figurines. 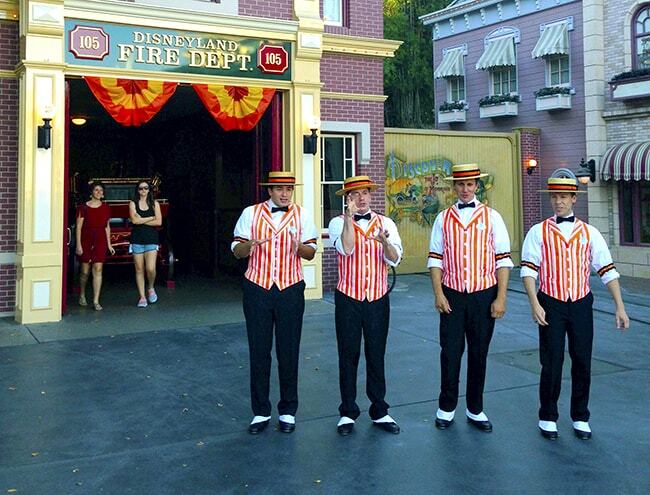 the movie grade costumes really impressed the boys. 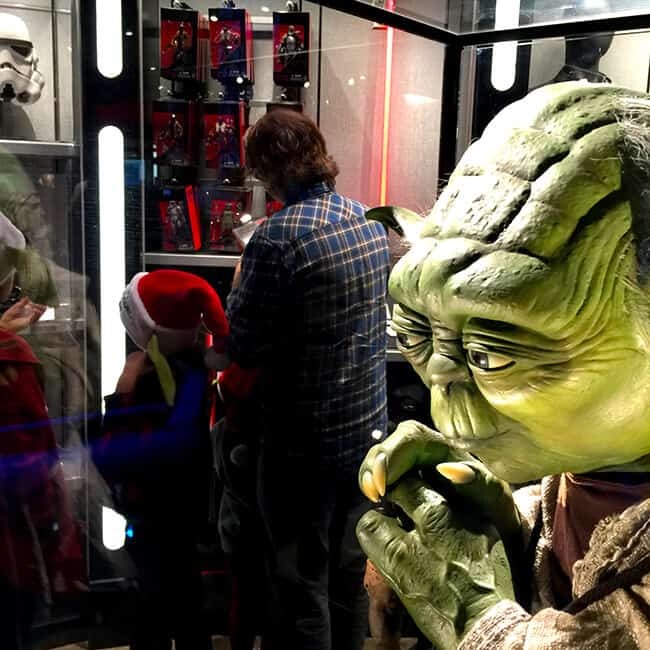 and a life-sized replica of Yoda watched my boys as the shopped for Star Wars souvenirs. then there are the character experiences. 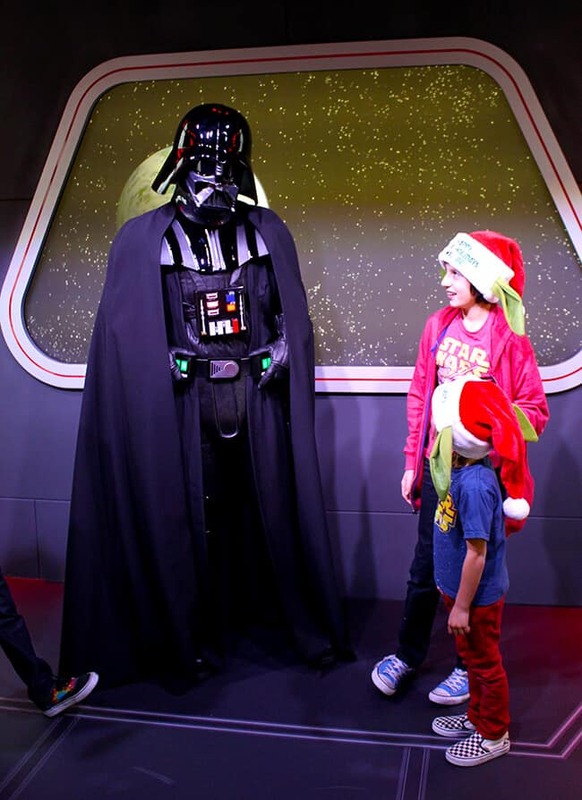 you can meet Darth Vader and Chewbacca, and even ask them questions are snap a quick picture. 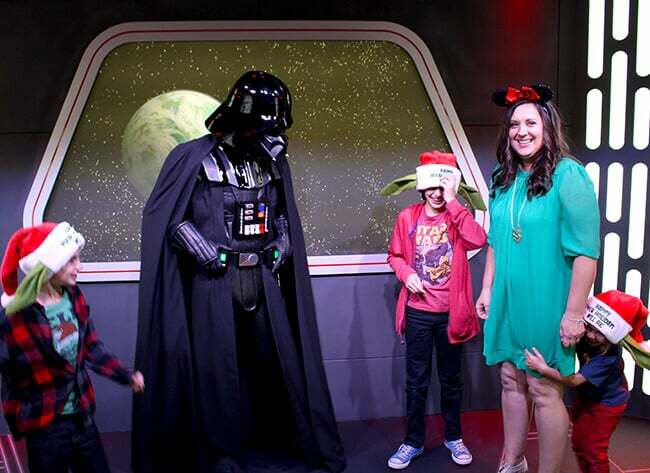 it was so much fun to see the boys interact with Darth Vader. as you can see, Vann had to hide for a minute. 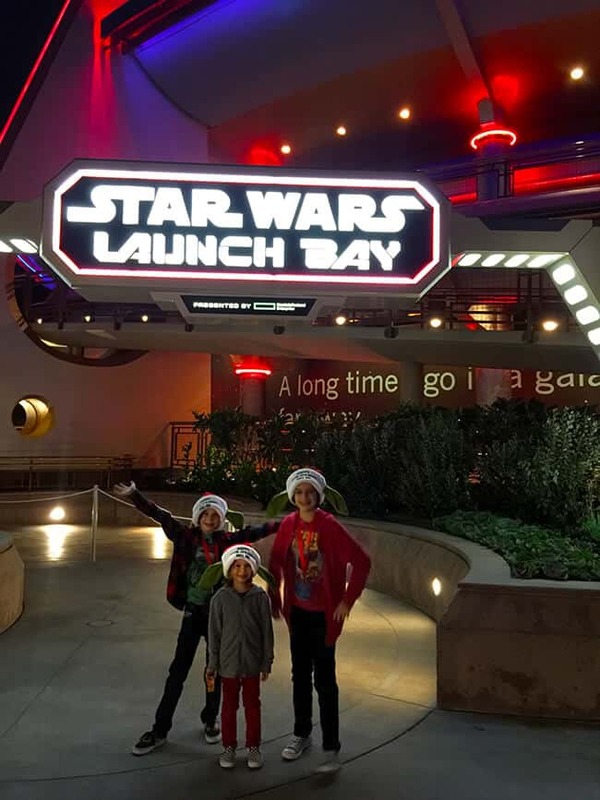 the boys had so much fun in the Star Wars Launch Bay that is was hard to get them to leave. 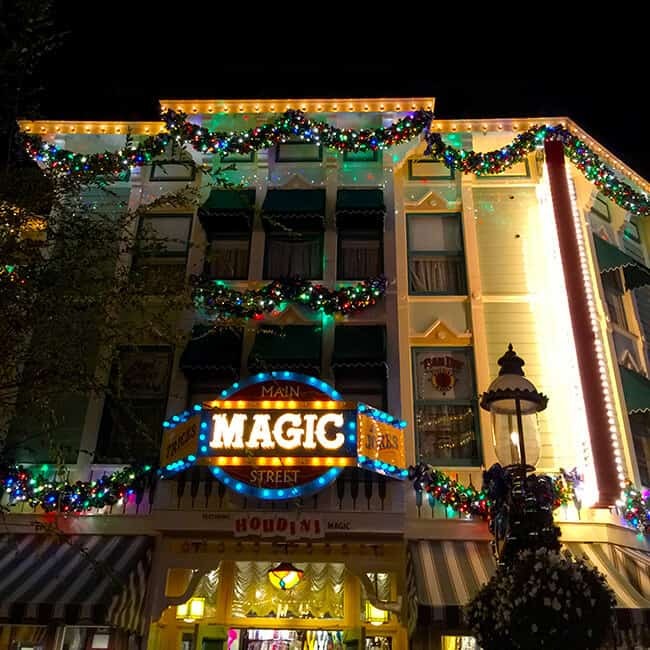 there is so much to see that we will definitely be back again and again this season. 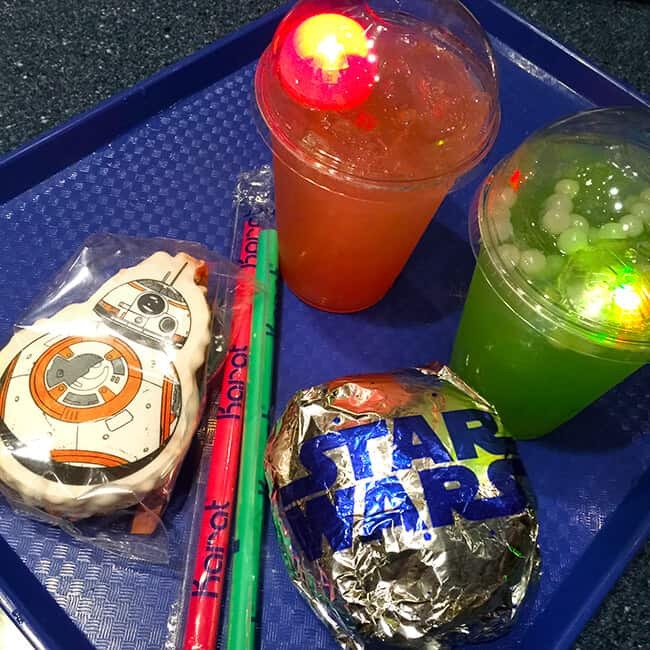 finally, when you visit Season of the Force at Disneyland, you are going to want to go on an empty stomach. probably the most exciting thing of all is the new Galactic Grill. 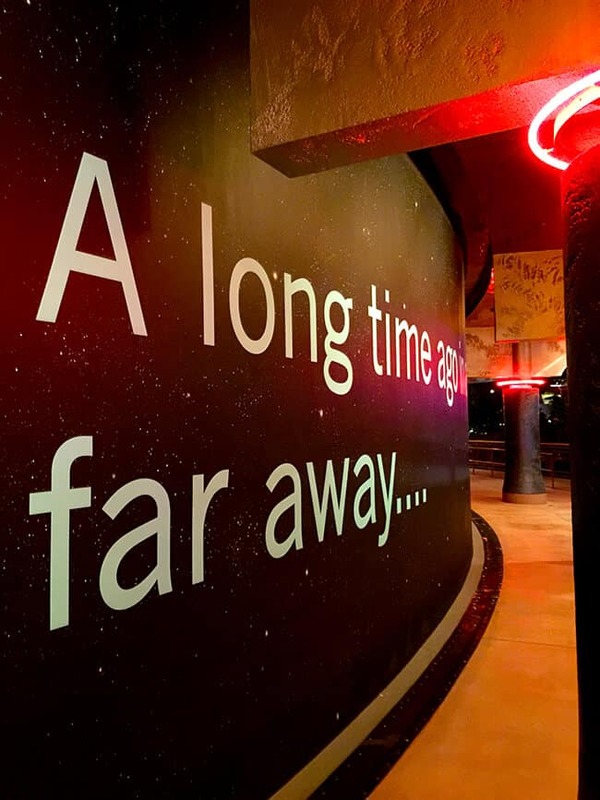 located in the heart of Tomorrowland, the Galactic Grill hosts an exclusive menu that is sure to excite Star Wars lovers. 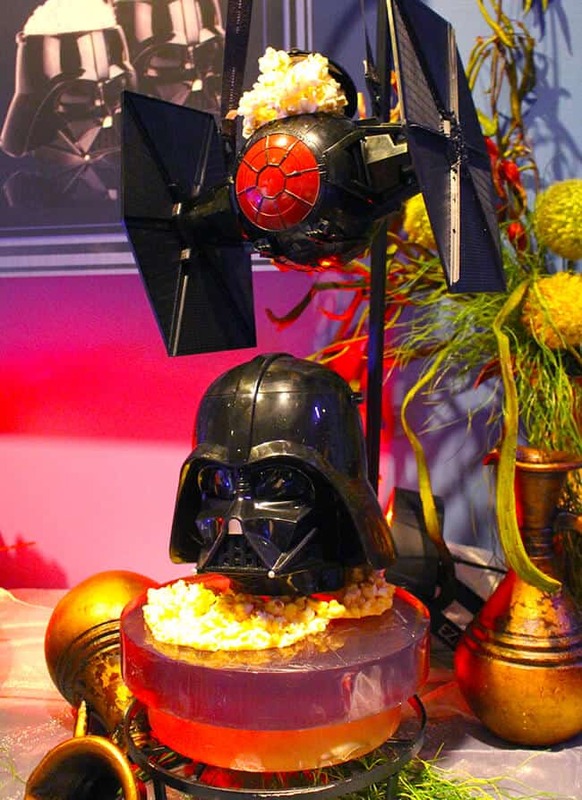 from the Cheese 3-PO to the Chopper Salad, there is a Star Wars meal perfect for any Jedi. 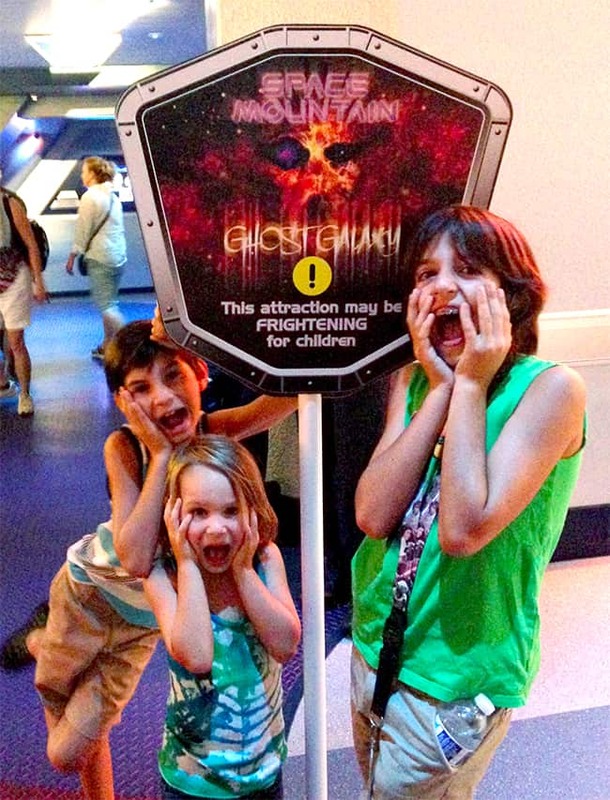 you have never seen kids so excited to eat as mine were to try all of the Star Wars inspired food. it was a real treat. 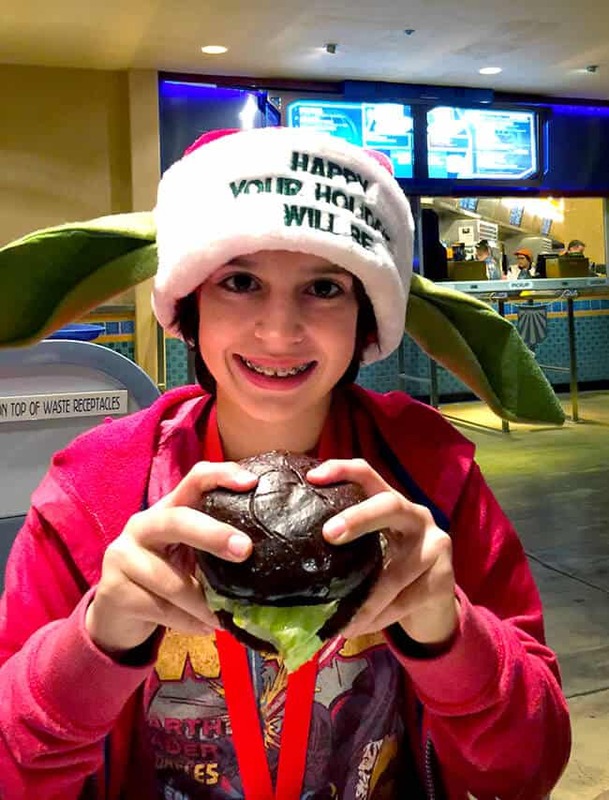 Jackson got the “First Order” specialty burger, complete with a dark bun. 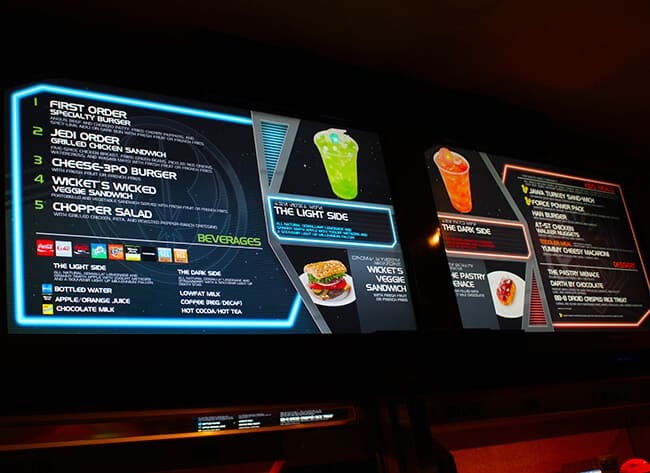 there are lots of fun options…you got to check them out on this Galactic Grill menu. 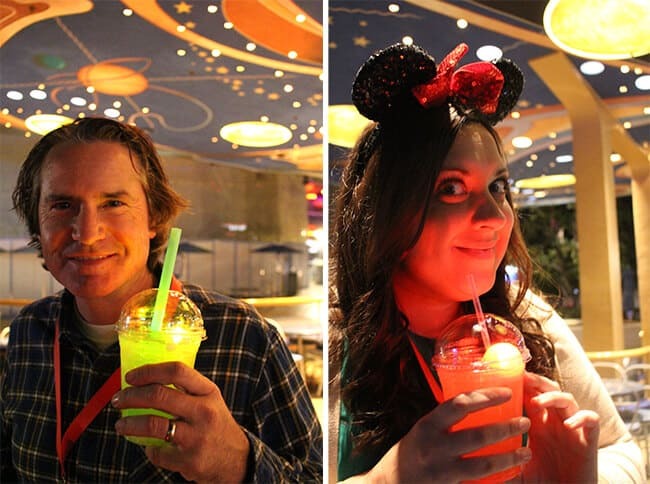 the hubby and i got these awesome Dark Side/Light Side drinks. the hubby got The Light Side, which had popping bobas and a light-up Millennium Falcon, and i got The Dark Side which has a light-up Death Star. i guess you could say we each got our personalities LOL. and don’t forget to get dessert. there are some yummy options…i highly recommend Darth By Chocolate! 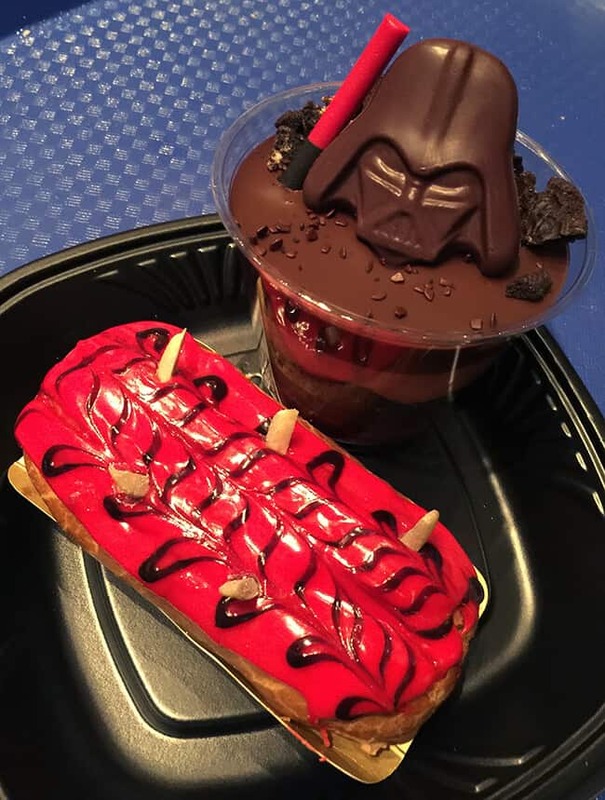 and besides the Star Wars food items you can get at the Galactic Grill, the food carts around Tomorrowland also have some fun food items to indulge your Star Wars Sweet tooth. 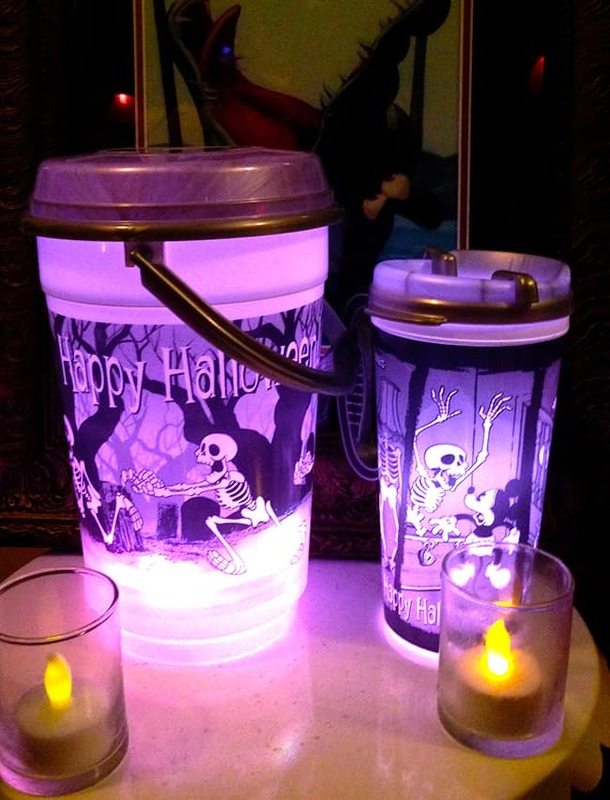 to this Han Solo Carbonite Bucket! 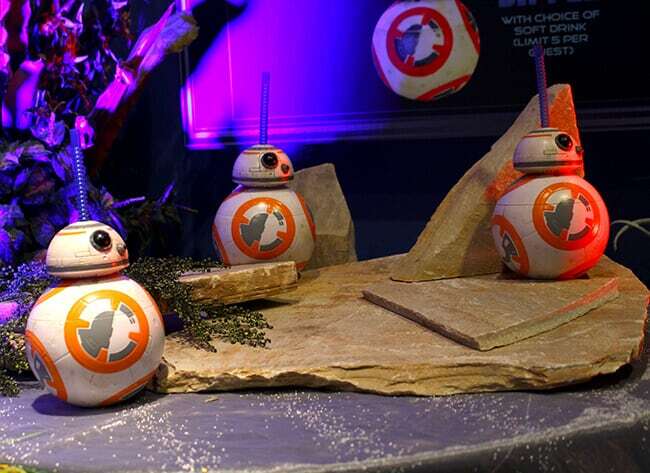 there is so much fun going on when it comes to the Star Wars food at Disneyland Resort. 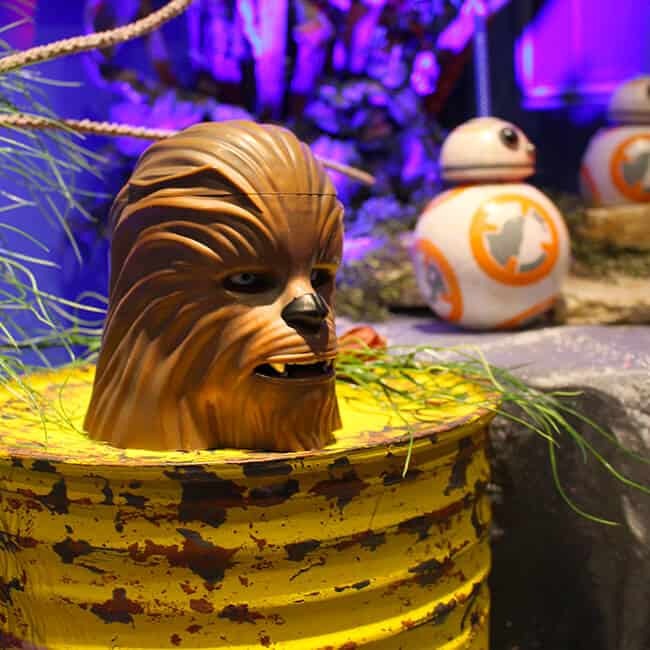 we had the best time checking out the new Season of the Force at Disneyland Resort. 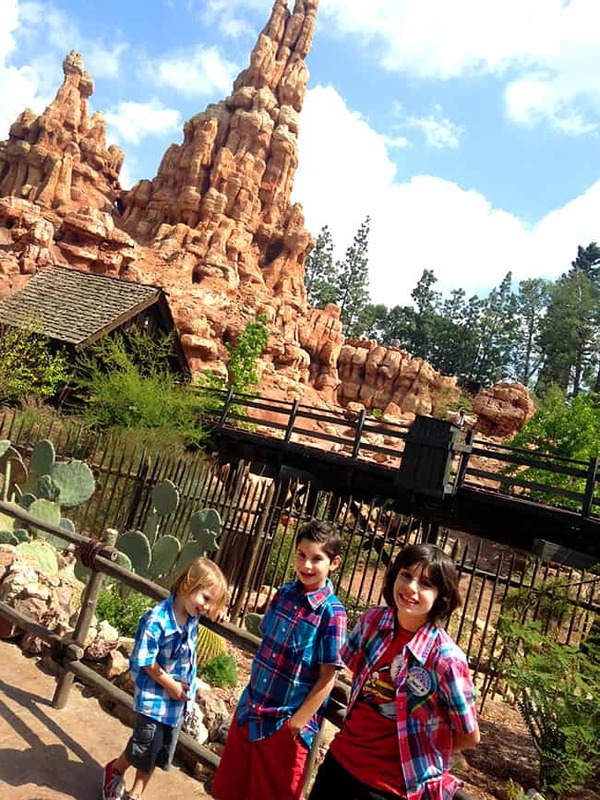 the boys have told me over and over since our visit that they had the best time. 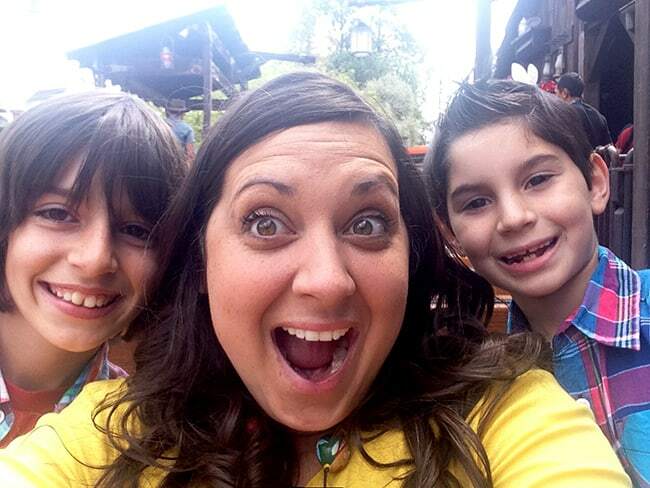 it feels so good to be able to share this special experience with them. 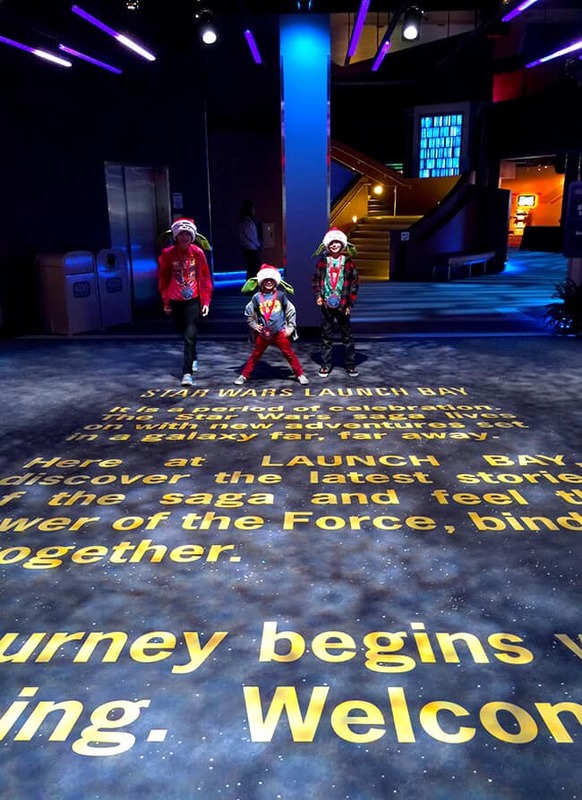 Season of the Force opens November 16, 2015 and will continue throughout the holidays. 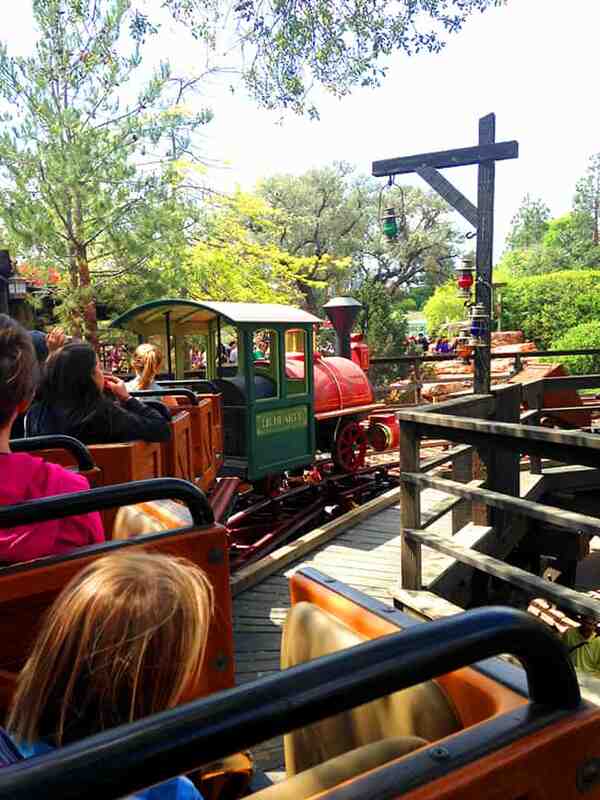 it’s always fun when new adventures open at the park and we are super excited to visit again and again. 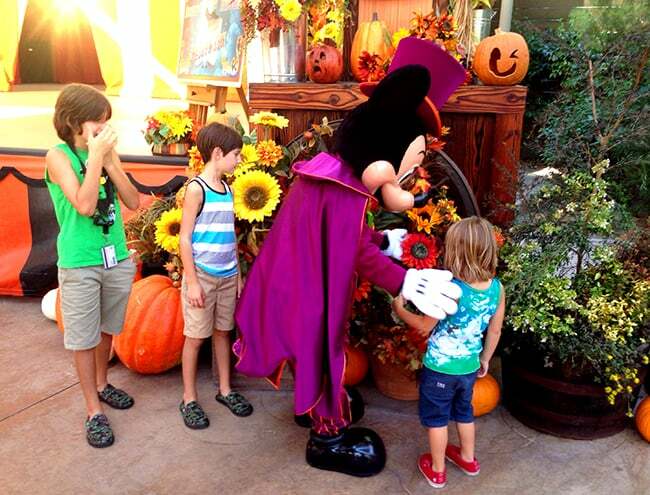 Disclosure: We were invited guests of Disneyland Resort. All thoughts and opinions are 100% my own. 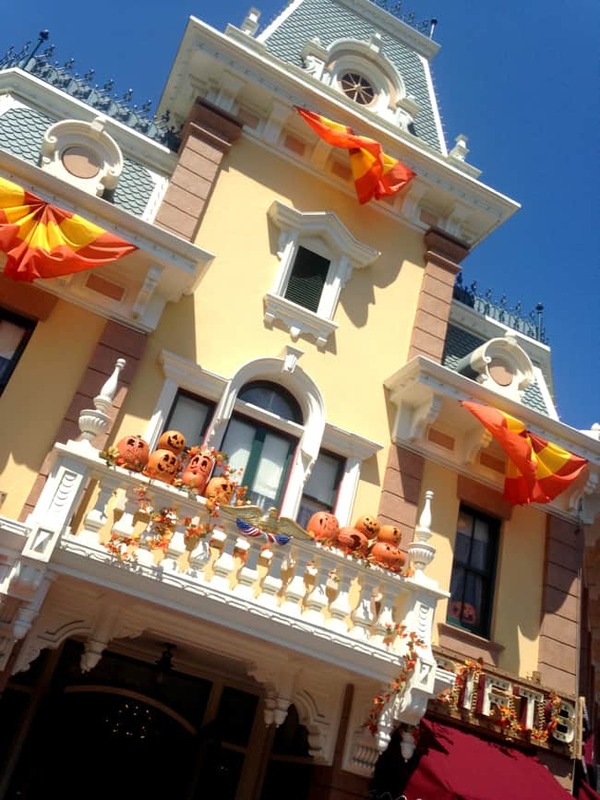 you know how much i love Halloween Time at Disneyland, and one of the reasons is the fabulous Halloween food found at Disneyland Resort. 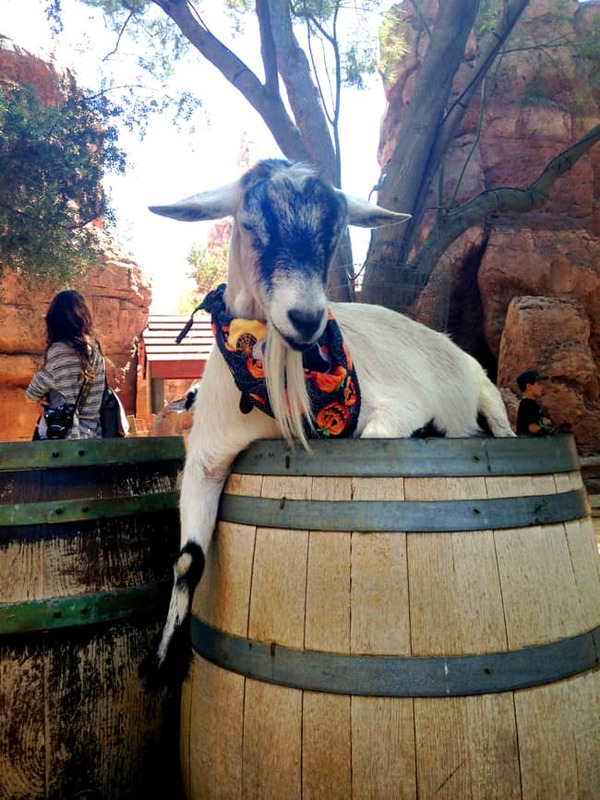 Disney does Halloween food and treats like no one else. 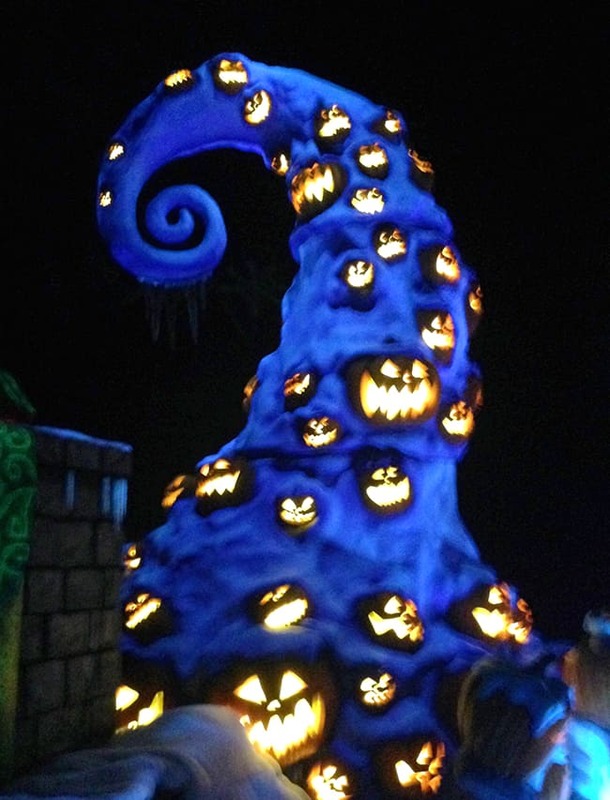 so creative and fun and not to mention yummy, every time i visit the park during Halloween Time i have to get one….but there are so many to choose from. 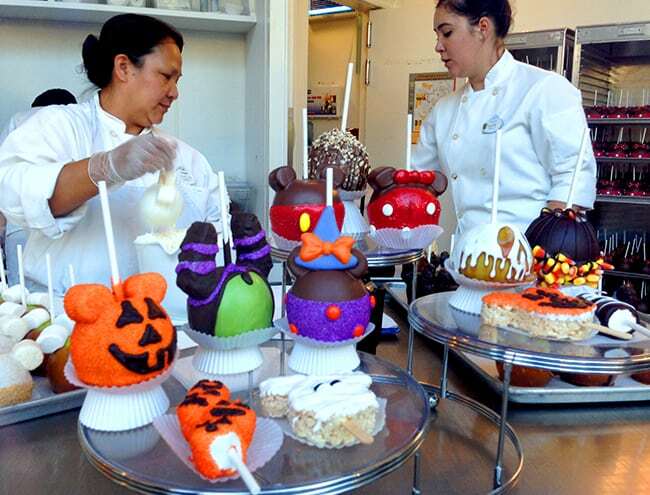 first of all, check out these amazing Halloween themed caramel apples, crispy treats and marshmallow pops. 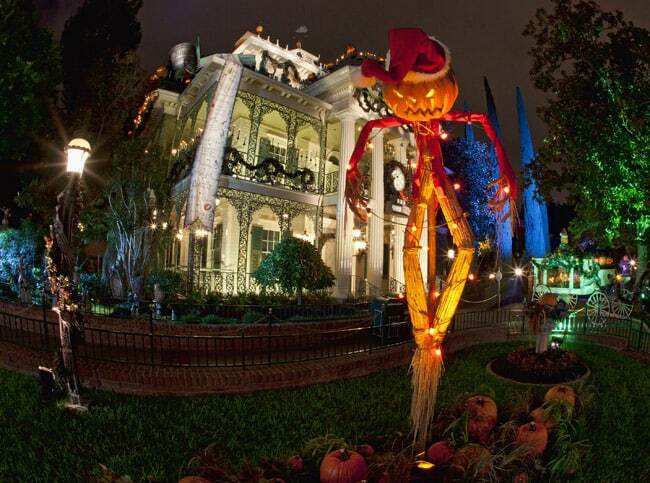 these are just a few of the Halloween designs Disneyland offers. i just love them all. 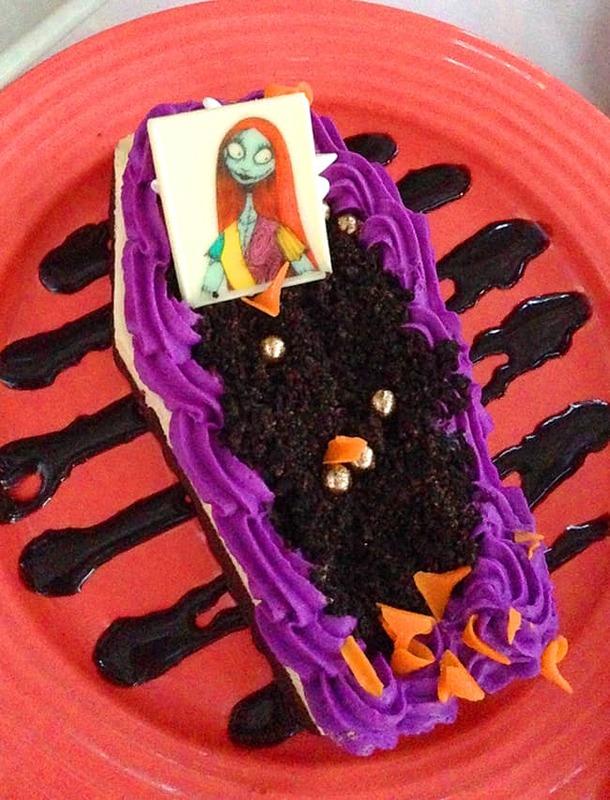 but my personal fave is found at the French Market, so that i could pick up this sweet and spooky dessert featuring Sally from Nightmare before Christmas. the Oreo mousse and Oreo cookie crumbs are the main reason i love it so, and i was lucky to get a few bites, as my boys also loved it. 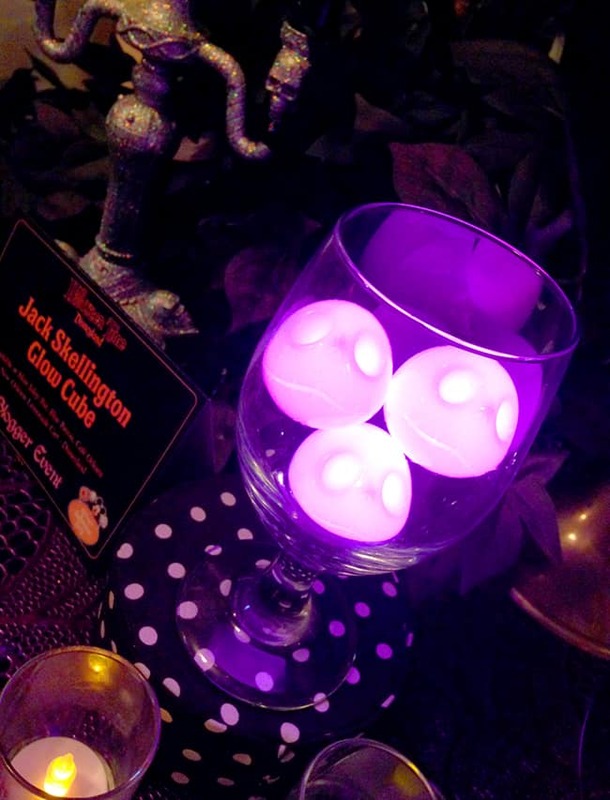 and if you are looking for some more Nightmare Before Christmas fun, get a Halloween drink filled with these ghostly light-up Jack Skellington glow cubes. 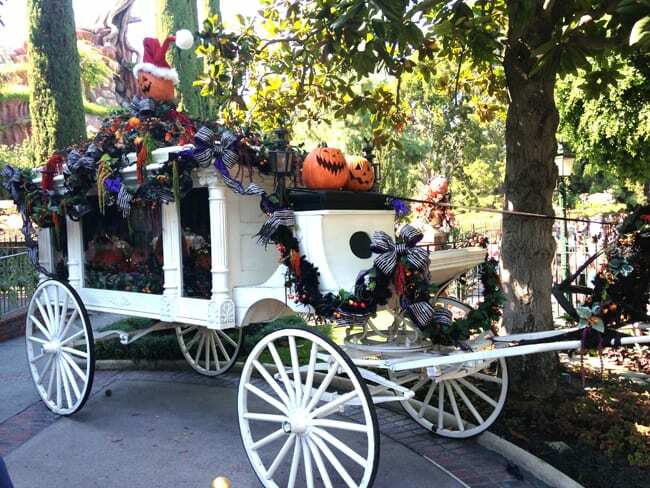 during the week of Halloween, Disneyland will offer some special menu items that are to die for! 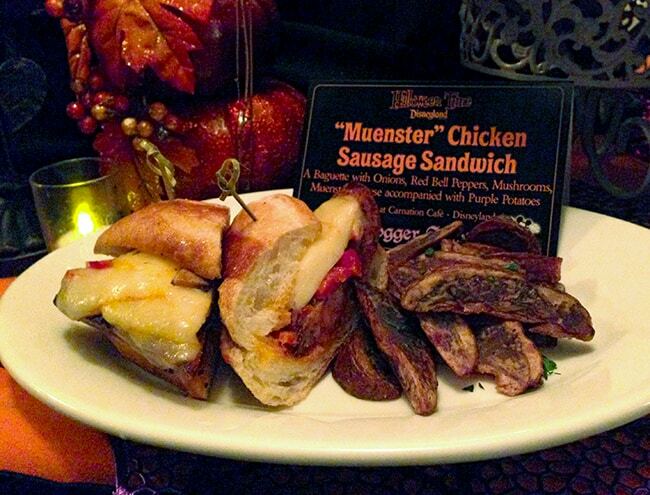 you can get the ooey, gooey, cheesy, Munster Chicken Sausage Sandwich at Carnation Cafe. it is covered in muenster cheese, onions, red bell peppers, and mushrooms and all the yumminess that comes along with it. 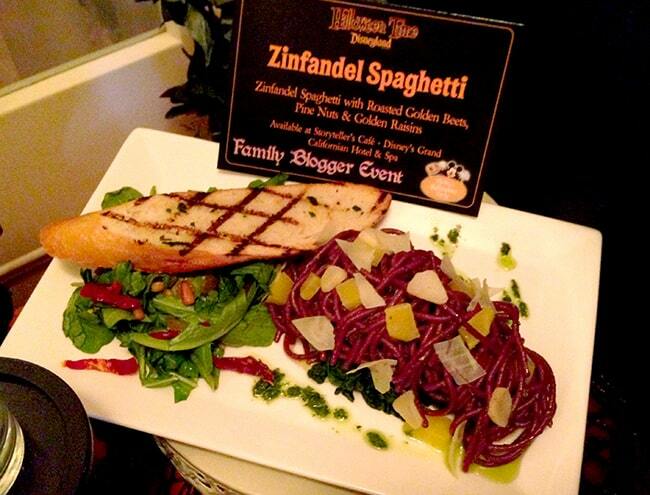 how about this Zinfandel Spaghetti with roasted golden beets, pine nuts and golden raisins. 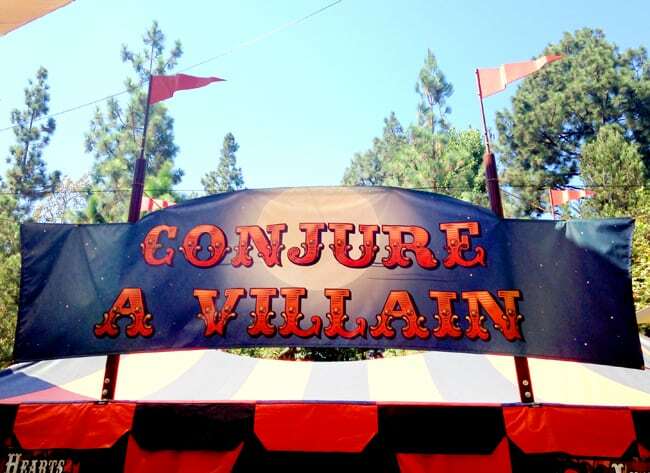 you can find it at Storytellers Café at Disney’s Grand Californian Hotel & Spa. the pasta gets its “seasonal” color from wine and it’s only available the week of Halloween. so fun! 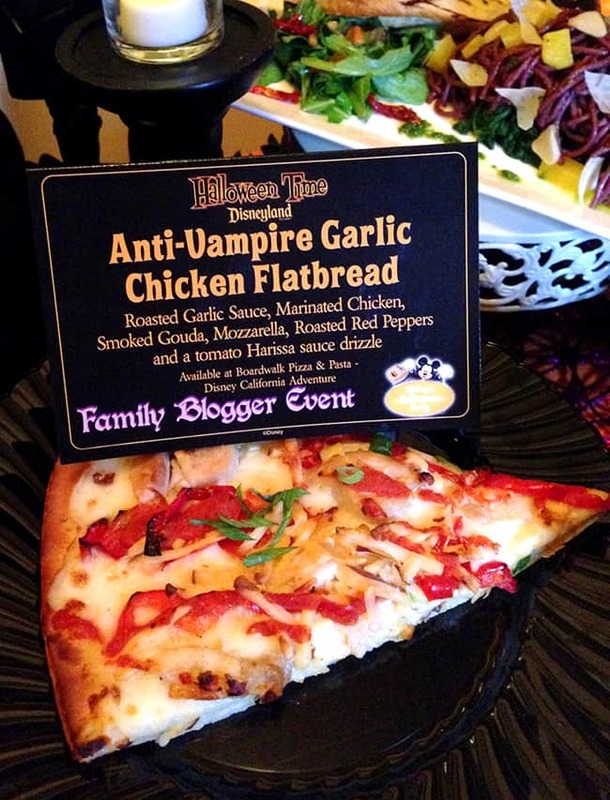 and vampires will stay away with this delicious slice of Anti-Vampire Garlic Chicken Flatbread pizza. its cheesy goodness is from Boardwalk Pizza and Pasta. this Halloween pizza delight is topped with roasted garlic sauce, chicken, smoked gouda, mozzarella, roasted red peppers and a tomato harissa sauce drizzle. 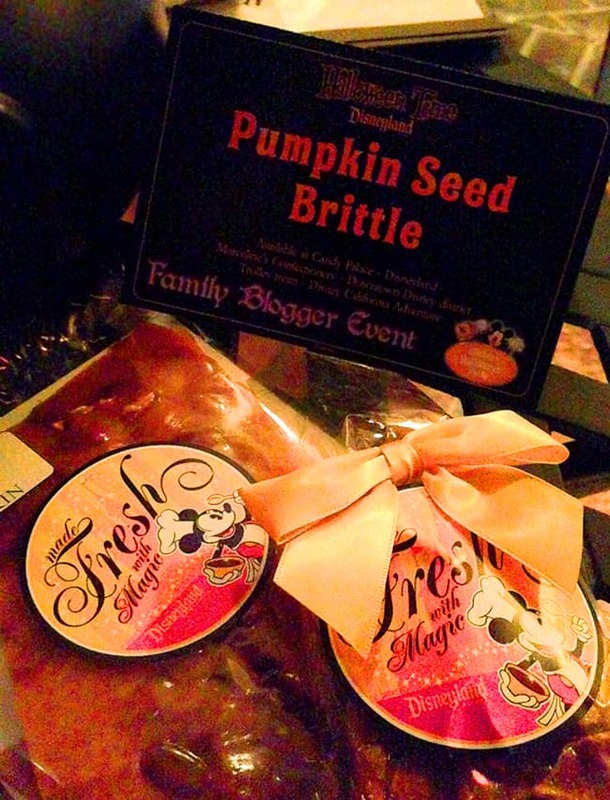 Pumpkin Seed Brittle? oh yes!!!! another one one of my favorite treats of the Halloween bunch were these Pumpkin Twists…it’s flaky, pumpkiny and cinnamony, covered in sugar crystals. 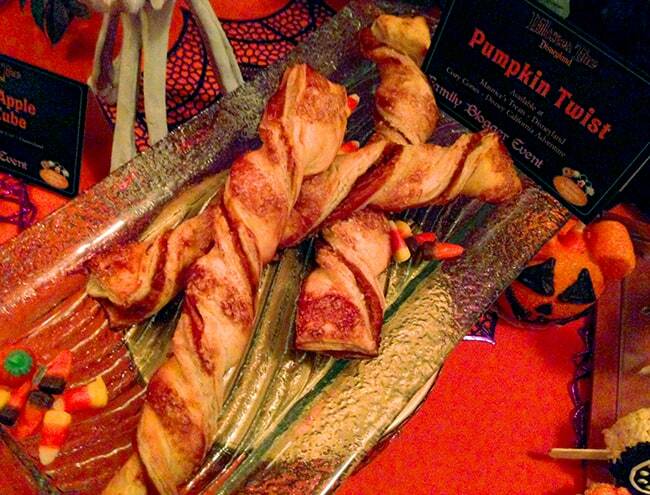 stop by Maurice’s Treats for these fantastic Pumpkin Twists. 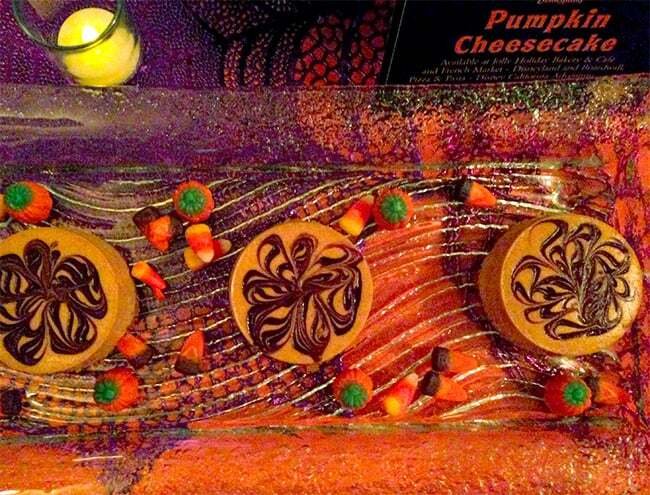 if you like pumpkin and cheesecake, then be sure to try one of the yummy pumpkin cheesecakes. 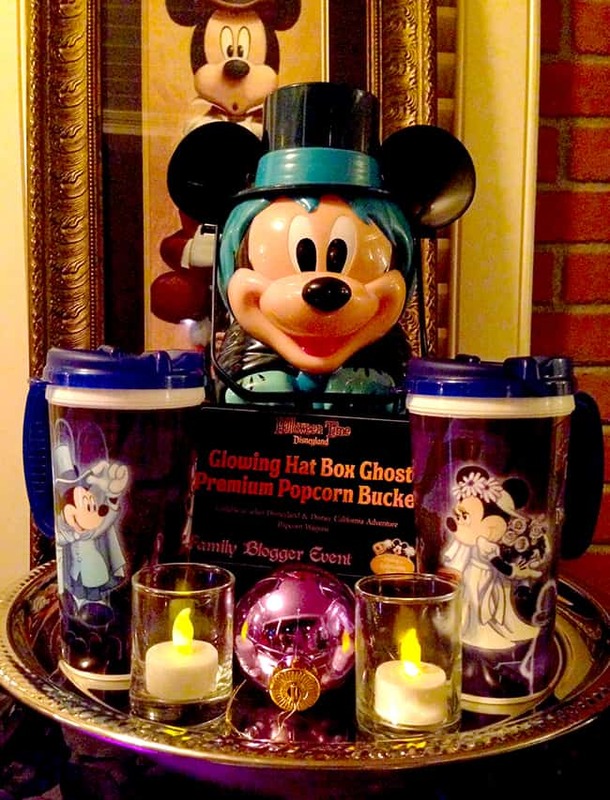 you can pick one up at the Jolly Holiday Bakery or at one of the sit down restaurants inside Disneyland. 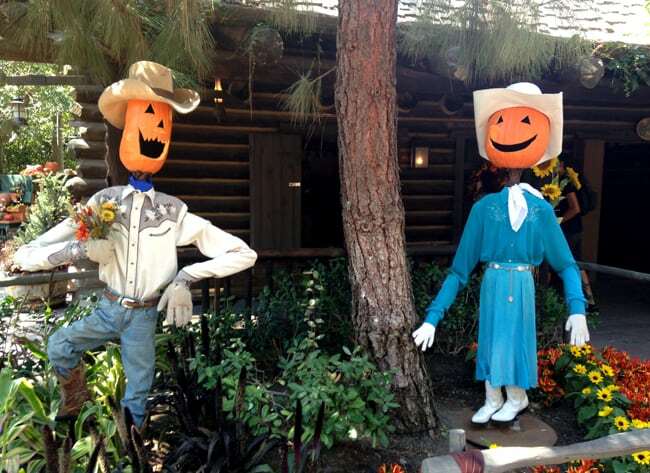 throughout the Disneyland Resort, you will find so many fun souvenir Popcorn Buckets. i love these because you can keep the containers after the popcorn is finished. 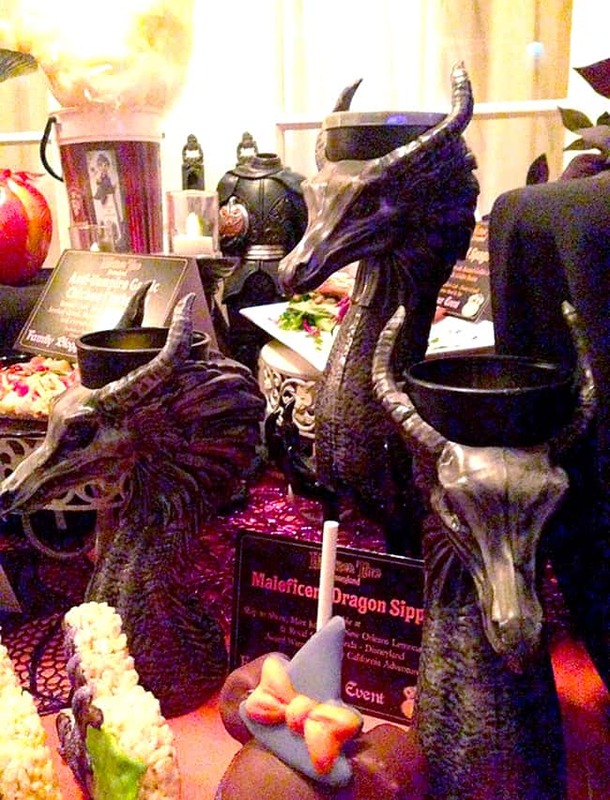 or how about this Malificent Souvenir cup! 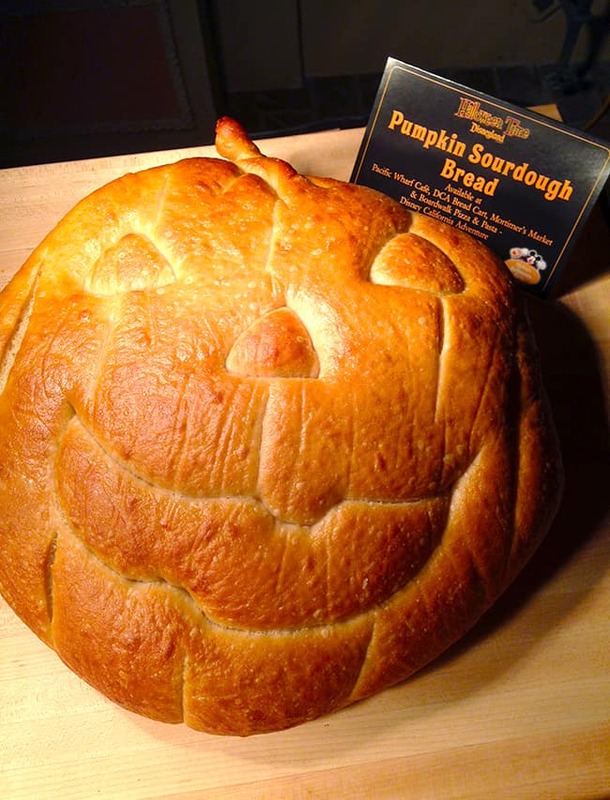 over at Disney California Adventure, you can get pumpkin-shaped sourdough bread. 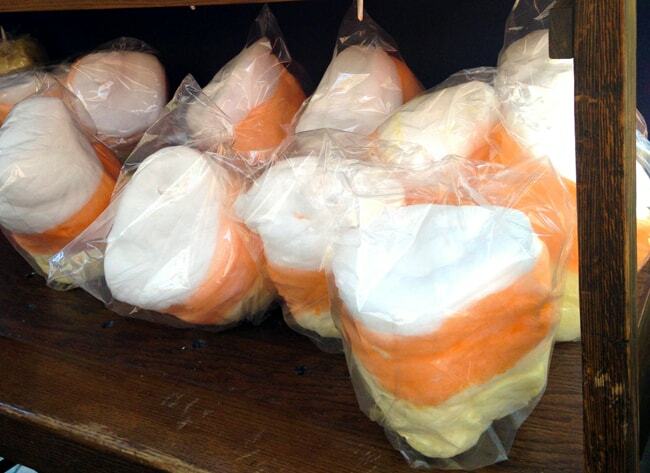 the pumpkin shape is perfect for a Halloween dinner and a warm cup of soup. be sure to pick one up on your way home. 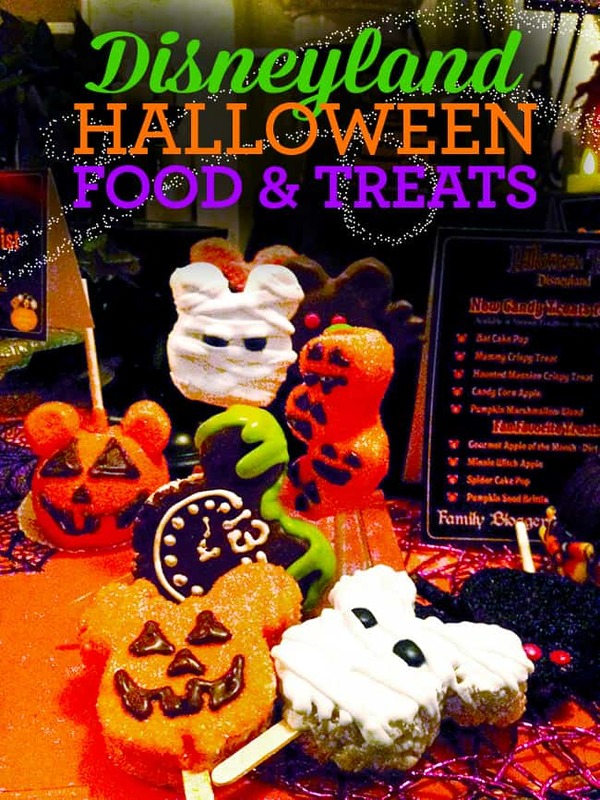 you can get all of these Halloween foods and treats AND MORE during Halloween Time at the Disneyland Resorts. but hurry, because they will only be available until November 2nd. what are you faves? 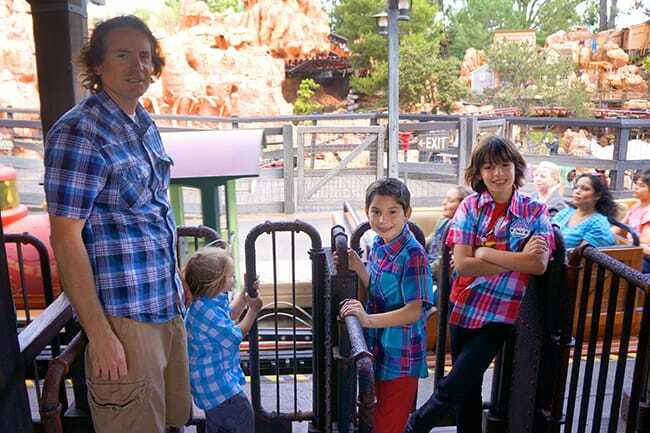 we finally broke down and bought Disneyland pass again, we really missed going the past few months. 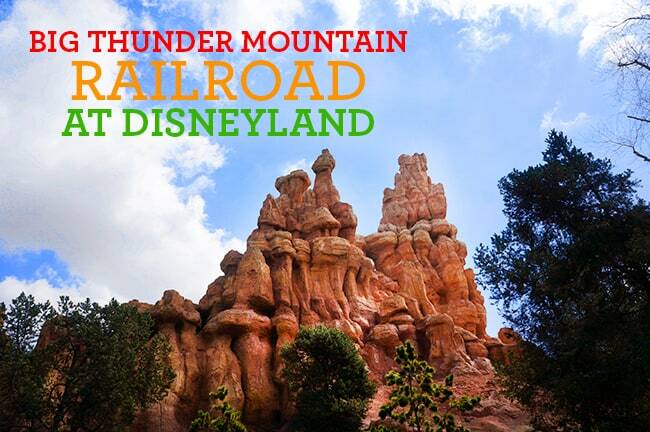 we also wanted to try out the newly remodeled Big Thunder Mountain Railroad, that has been closed for quite sometime. 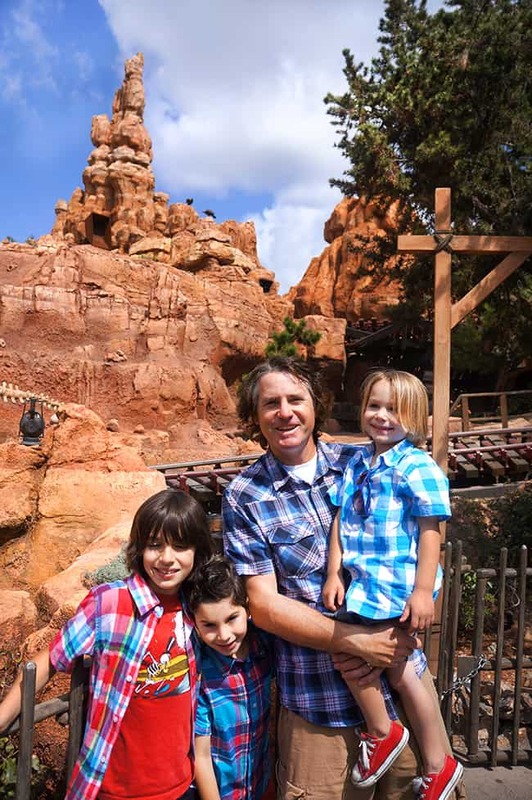 it is one of my favorite rides at Disneyland, so i was really excited to see what improvements has been made….plus, none of my kids have ever riden it before. then to take a quick selfie before we take off. IT’S THEIR FRIST TIME TO RIDE!!!! then off we went, up down and all around…. 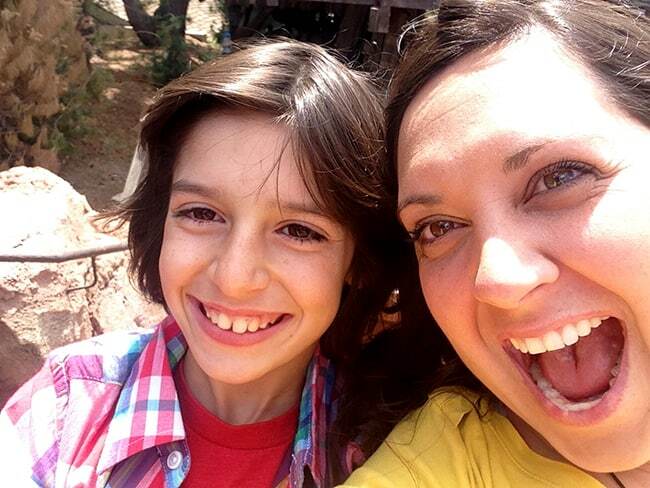 we even took another selfie (weirdos) as the train dropped down the mountain. the kids were loving it so much, i just had to capture their smiles and laughter. 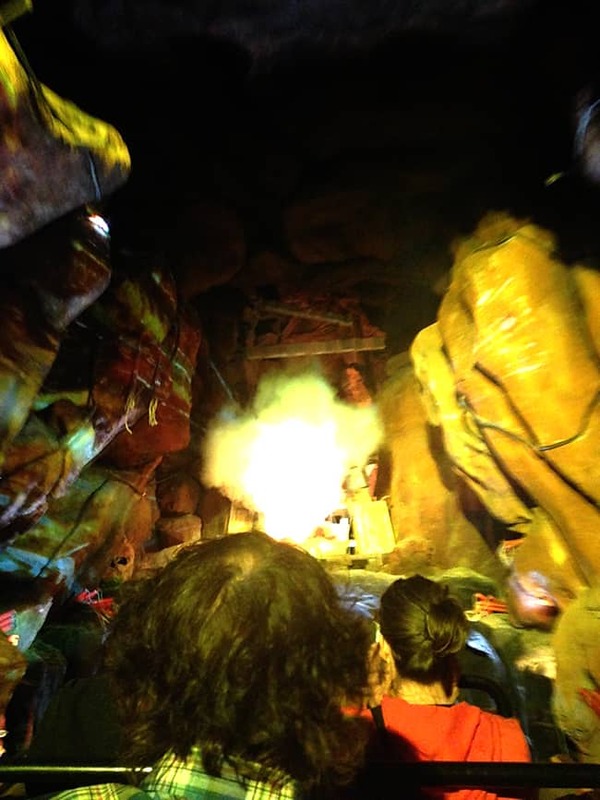 and now the ride has some awesome special effects, like robotics, explosions, and sound effects. it was pretty cool. 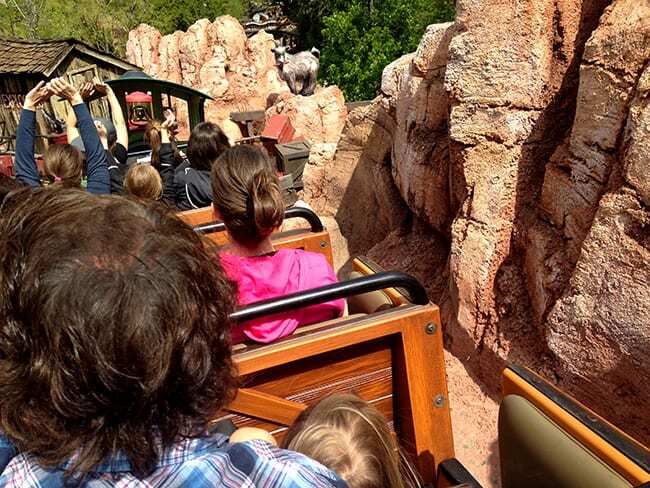 the new Big Thunder Mountain Railroad rides smoother than ever…Disneyland did a great job of keeping the nostalgic of the old Big Thunder Mountain Railroad ride and updating the track to make the ride not as rickety and jerky. 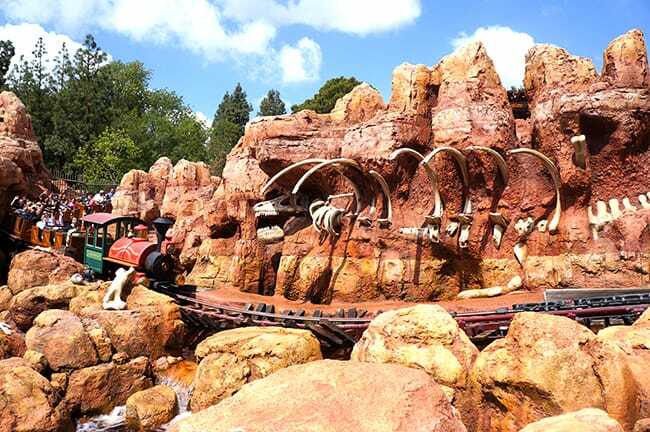 it looks fresh and clean and the special effects added some modern flair to this beloved roller coaster. 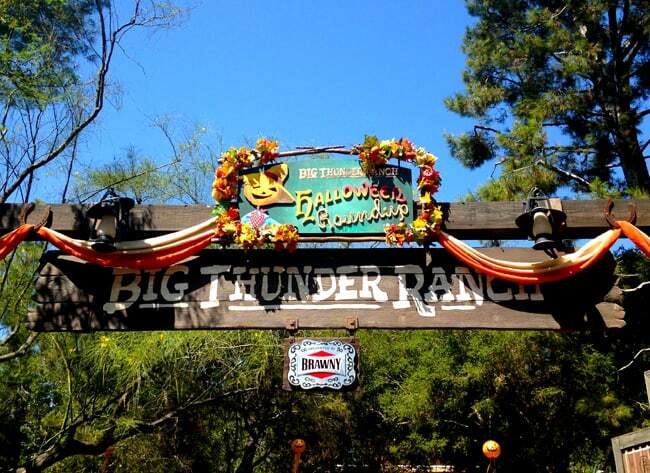 as we headed back to the loading area, the kids were already asking to go again. 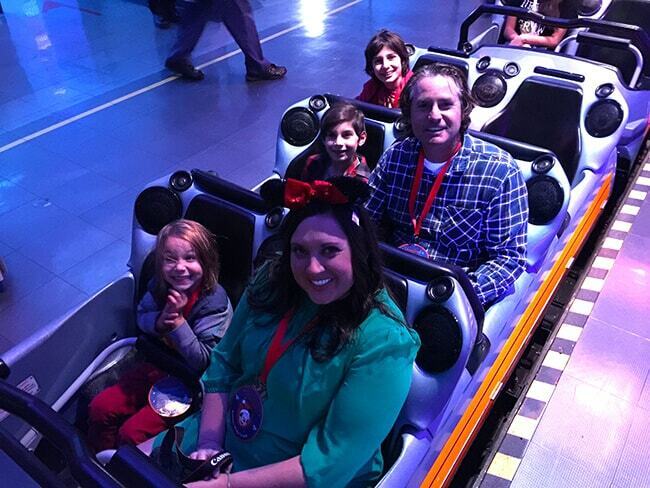 i am so thrilled that there is now another great family ride open at Disneyland that the whole family enjoys. and it better than ever…woo who. 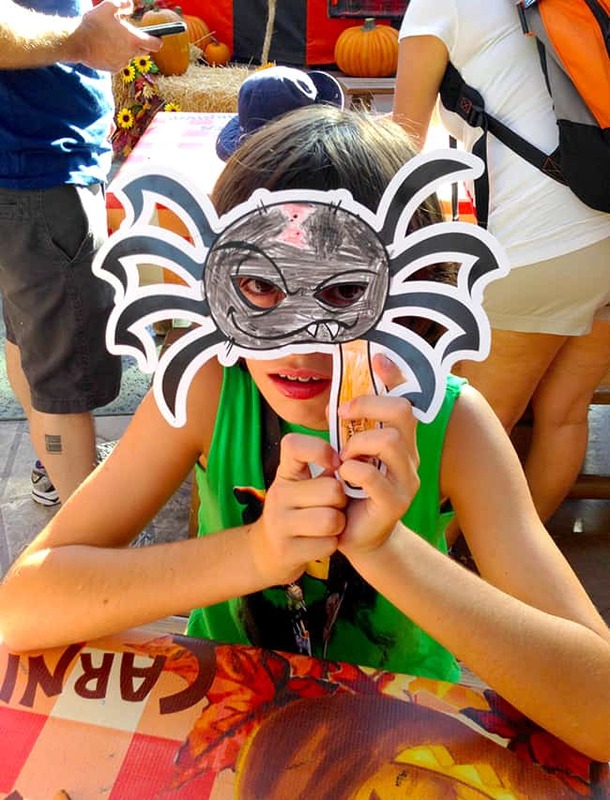 • kids under 7 must be accompanied by adult over 14 years of age. • it has small drops, and is semi-fast. 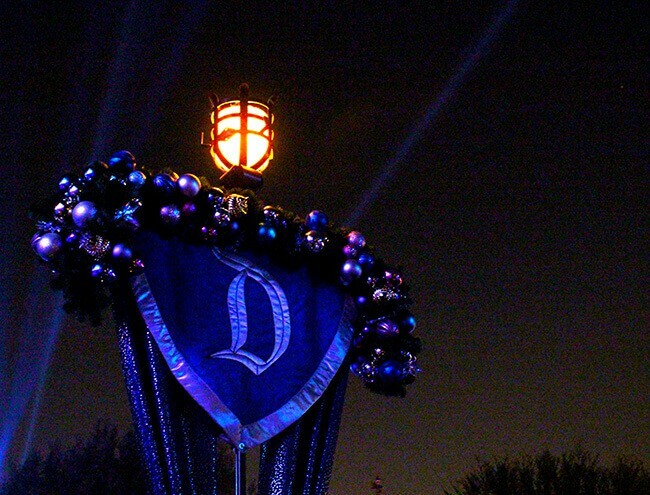 there are areas of darkness during the ride. • it’s a fun ride!